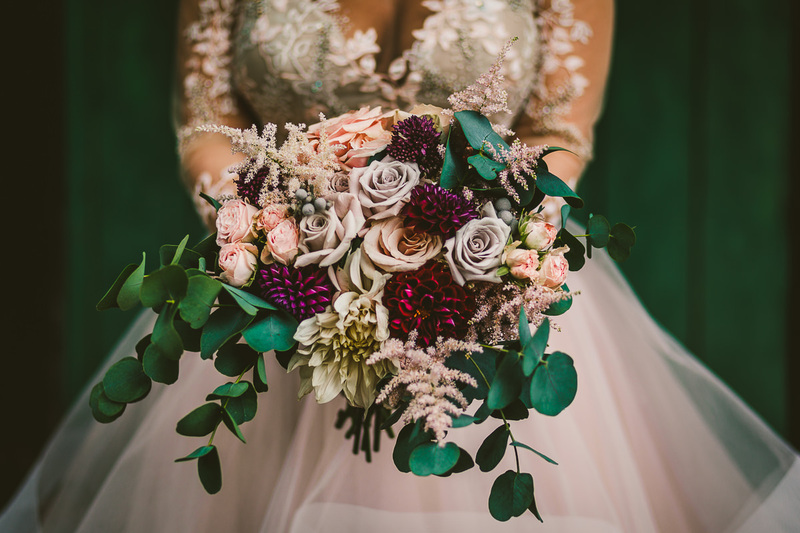 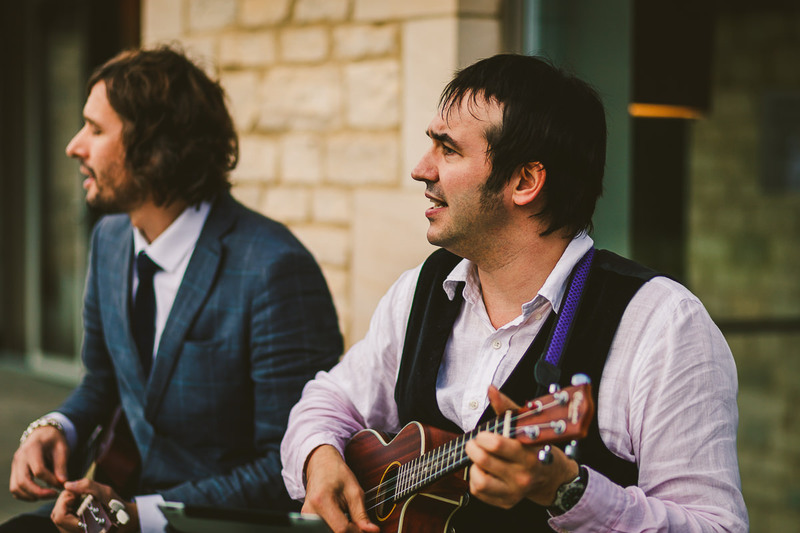 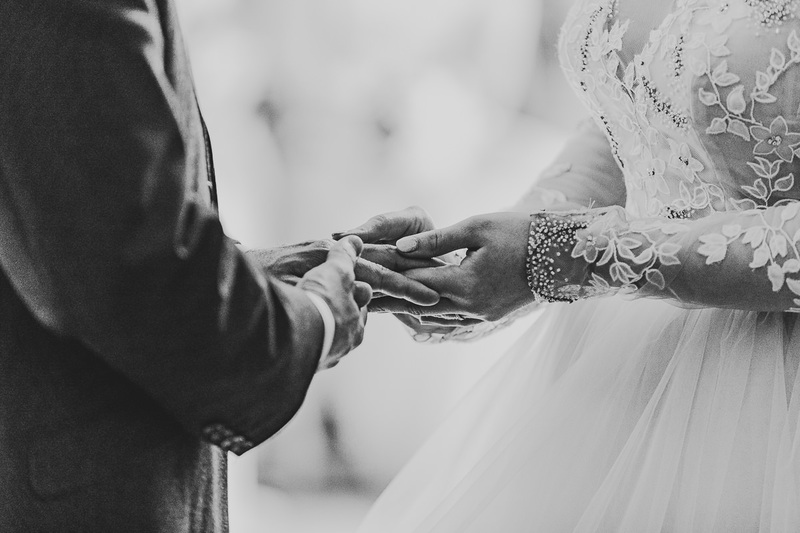 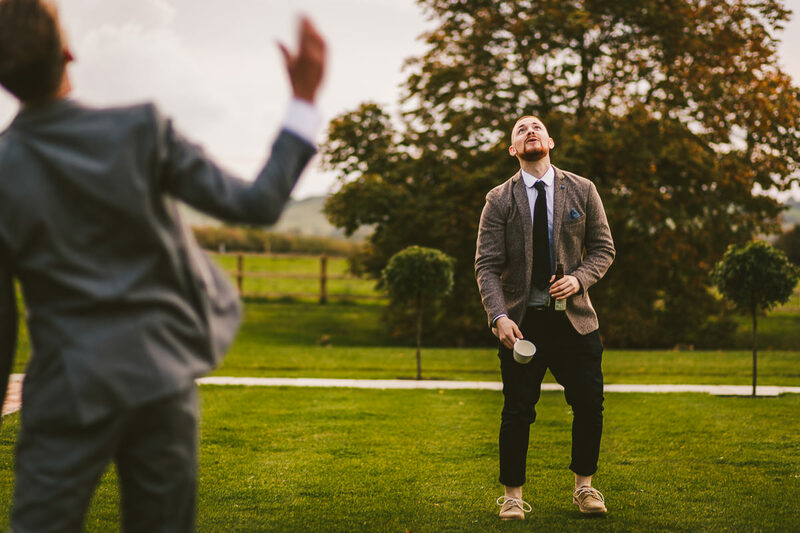 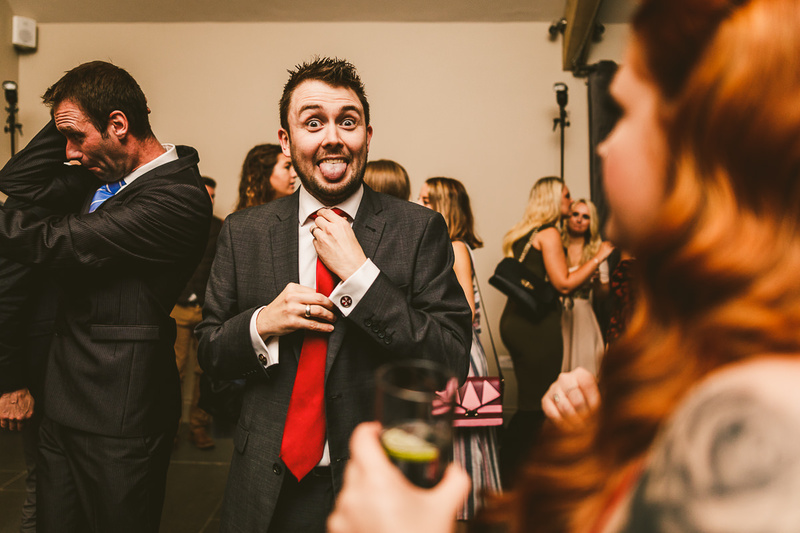 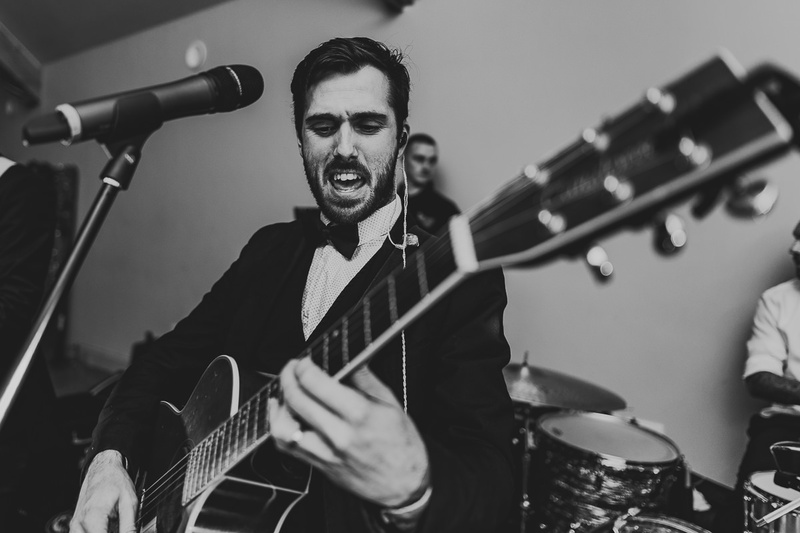 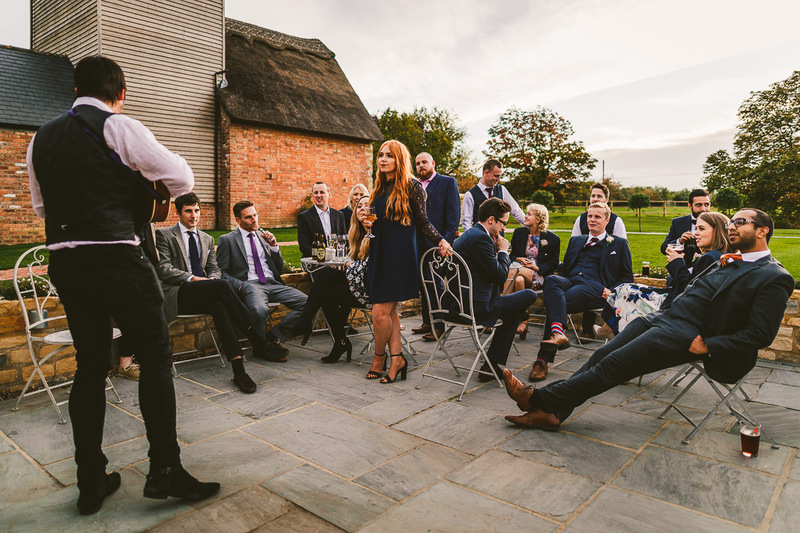 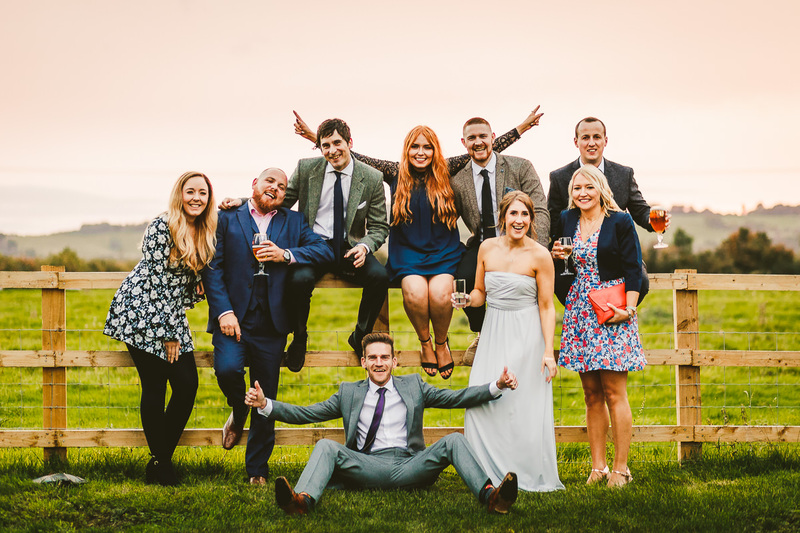 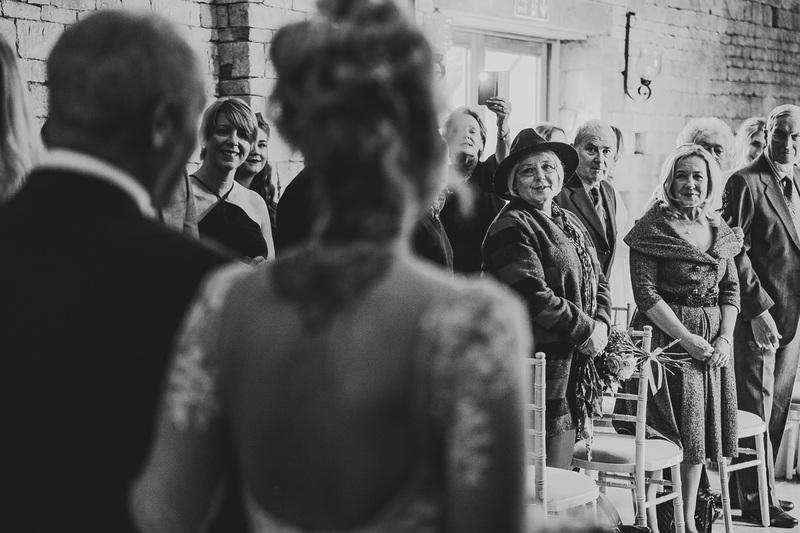 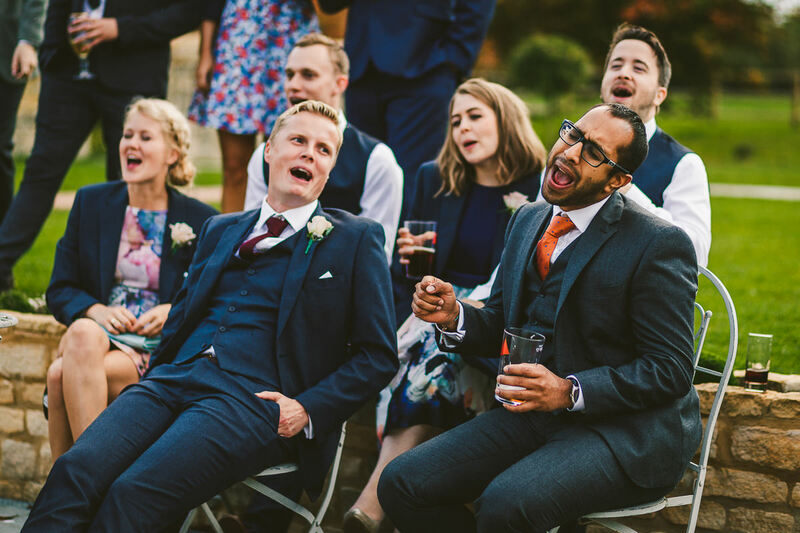 This wedding had it all; love, laughter, style, sass, sexyness, ukuleles, oh . 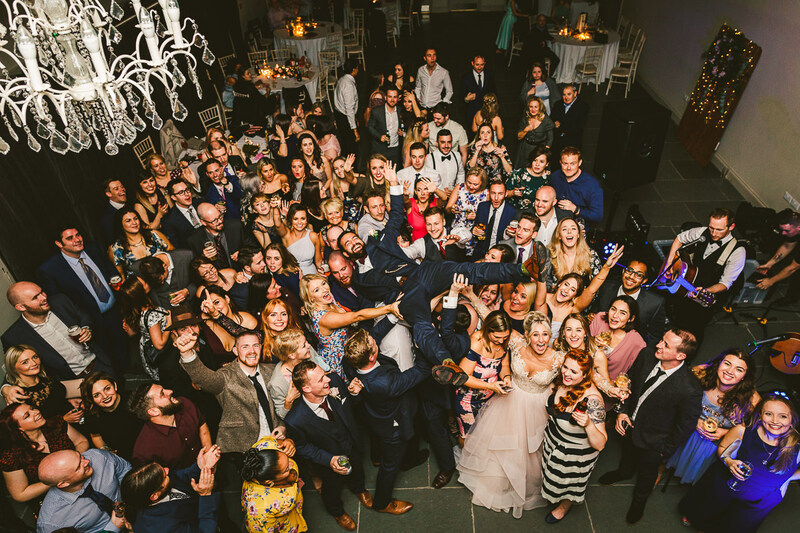 . . and a crowd surfing bride and groom! 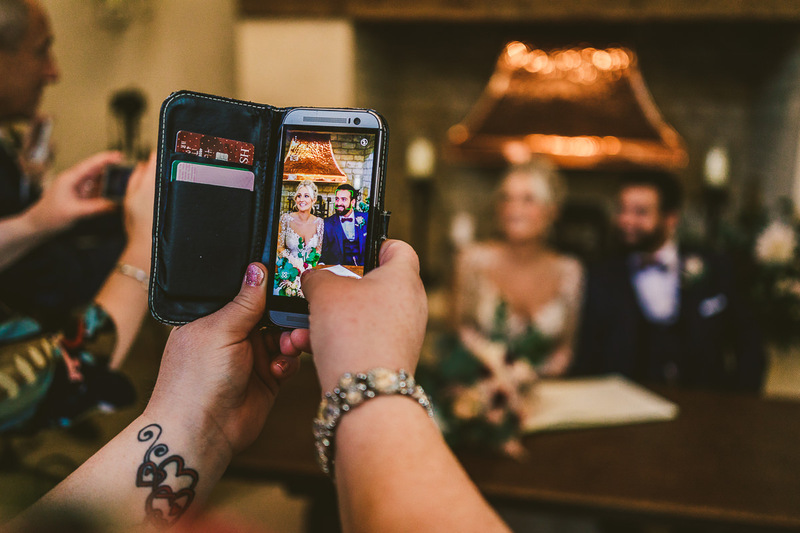 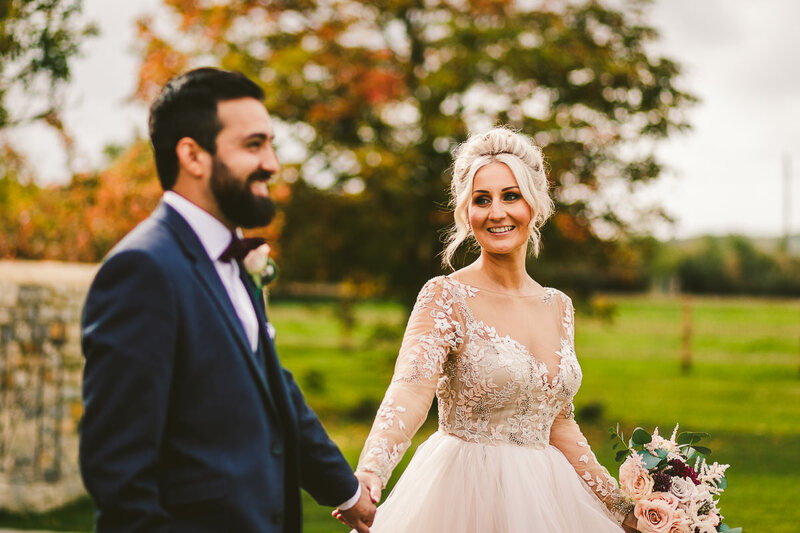 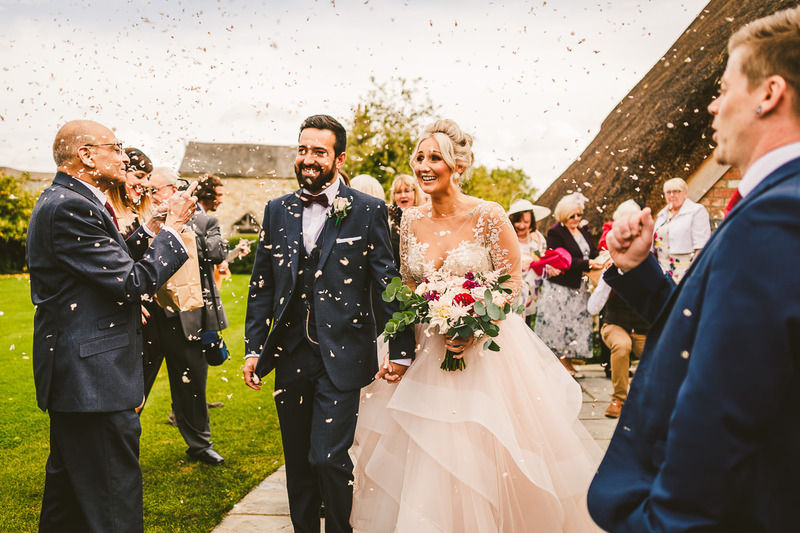 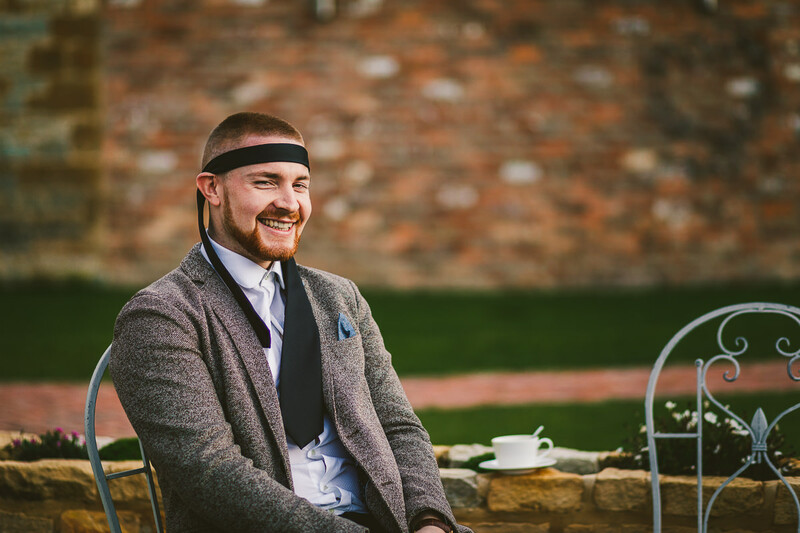 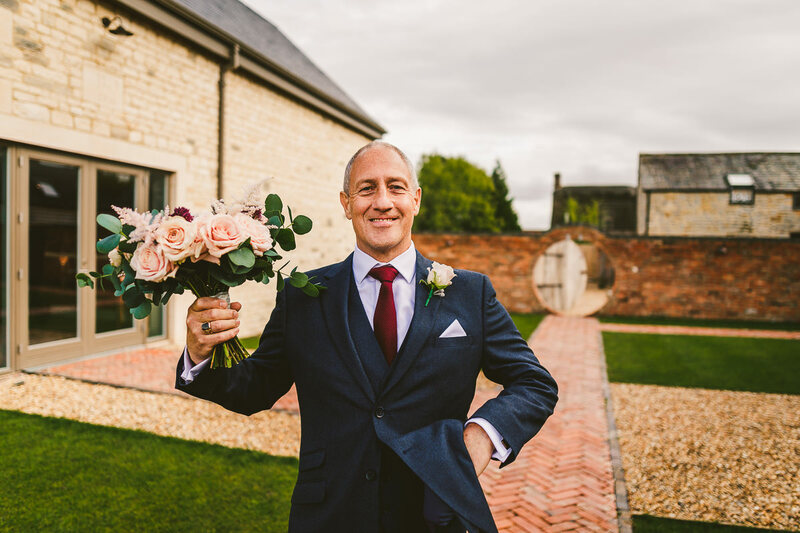 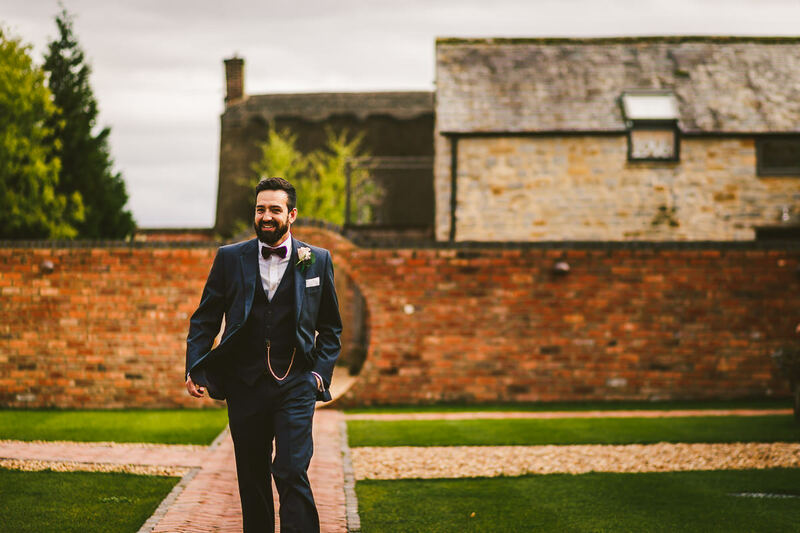 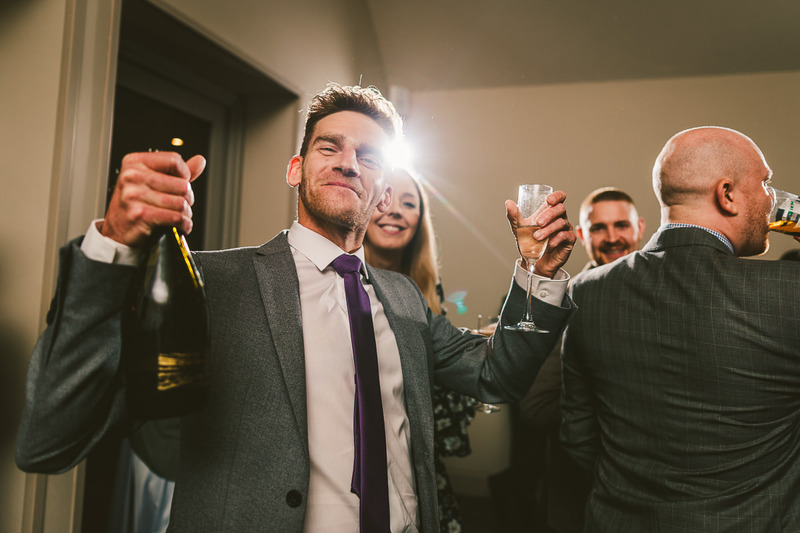 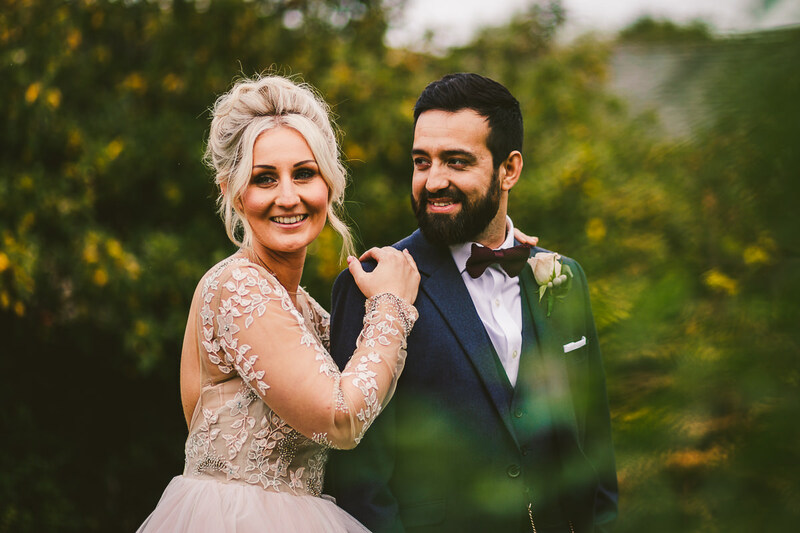 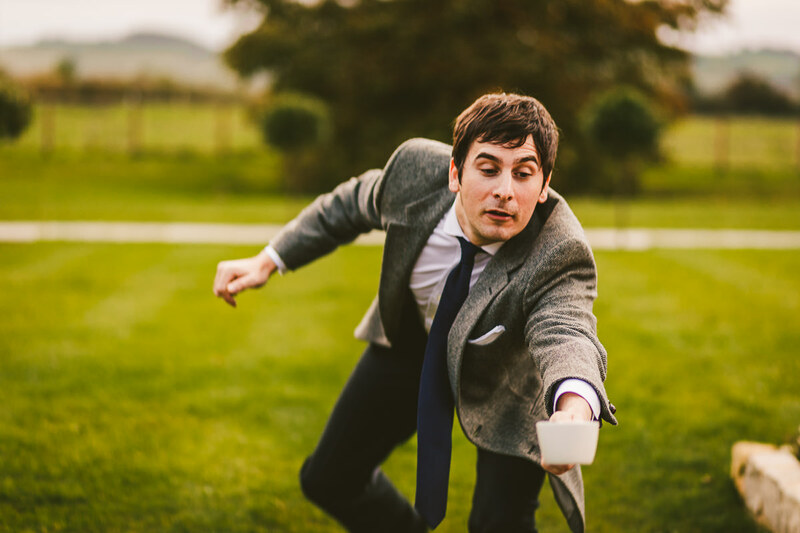 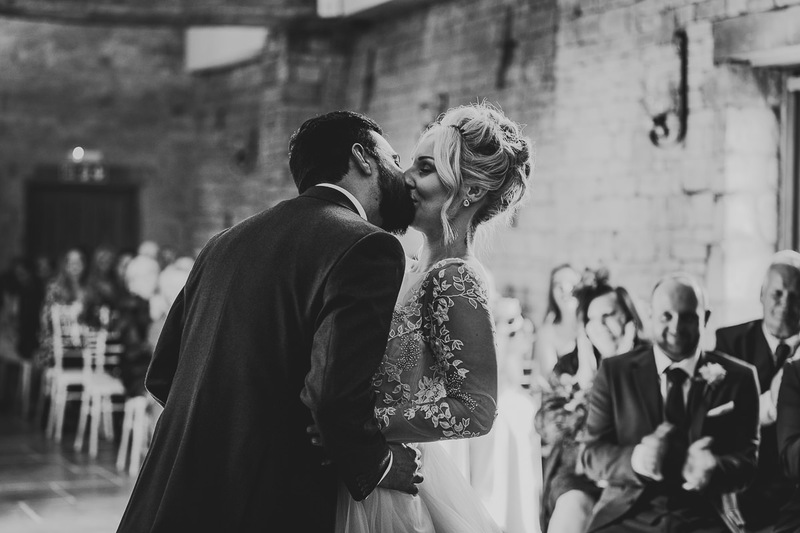 At the end of October I made the short trip from Birmingham down to the Warwickshire / Gloucestershire / Oxfordshire border to photograph Dani and Loz’s epic Cotswolds wedding at the stunning Blackwell Grange. 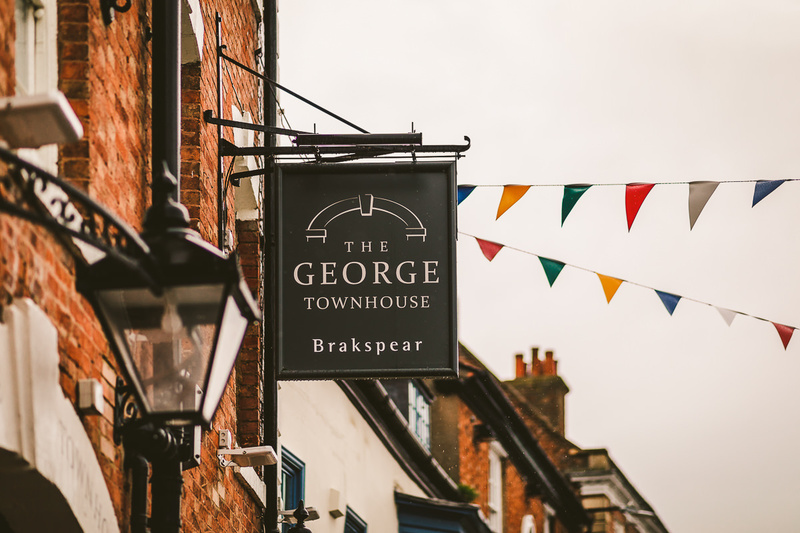 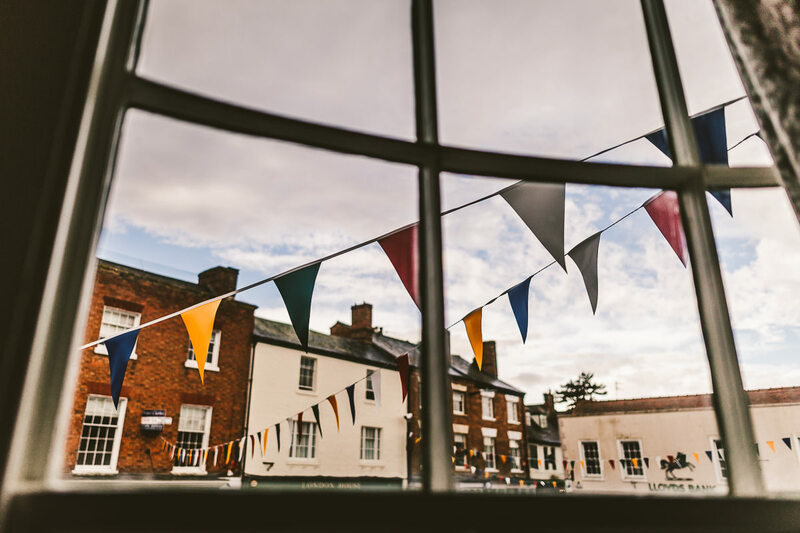 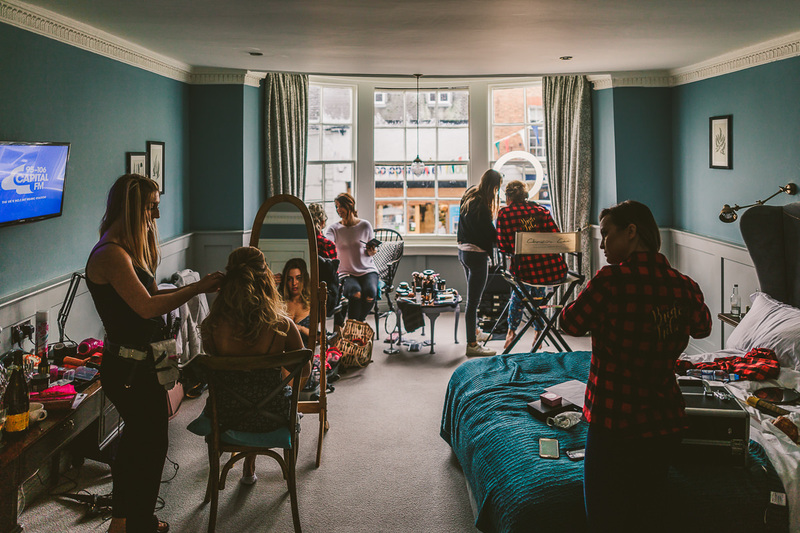 I met with Dani and her bridesmaids on the morning of the wedding at The George Townhouse in the market town of Shipston-on-Stour. 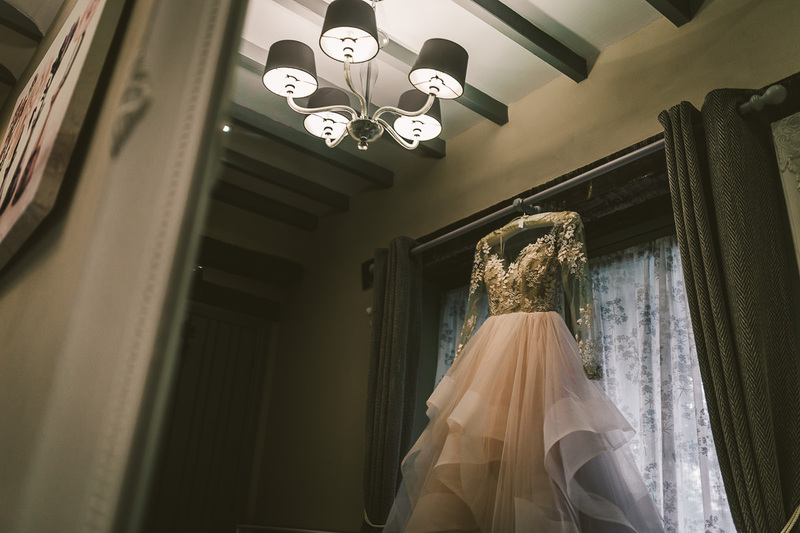 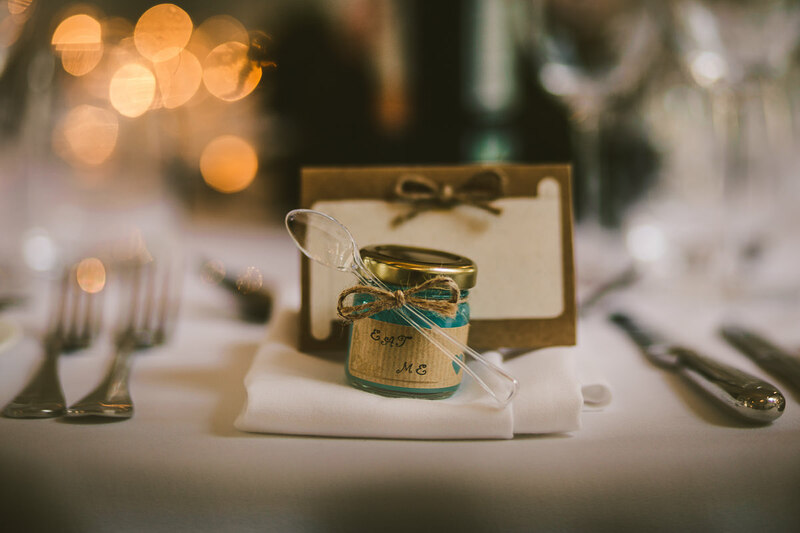 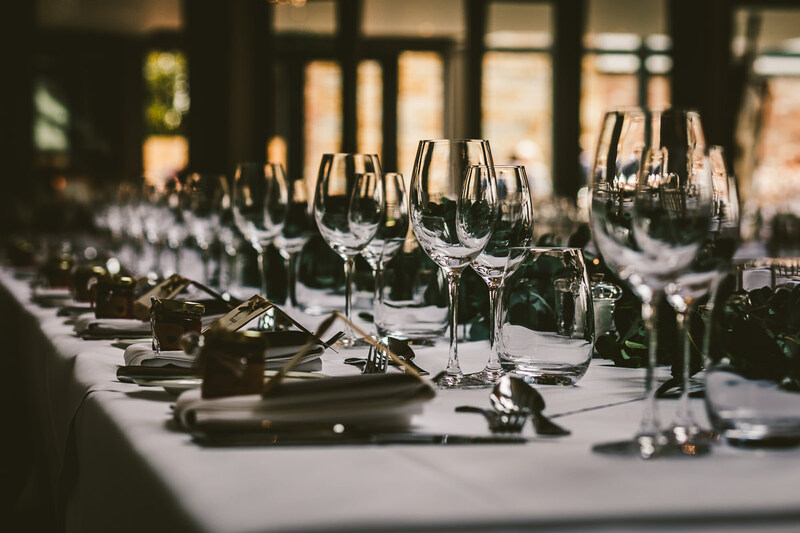 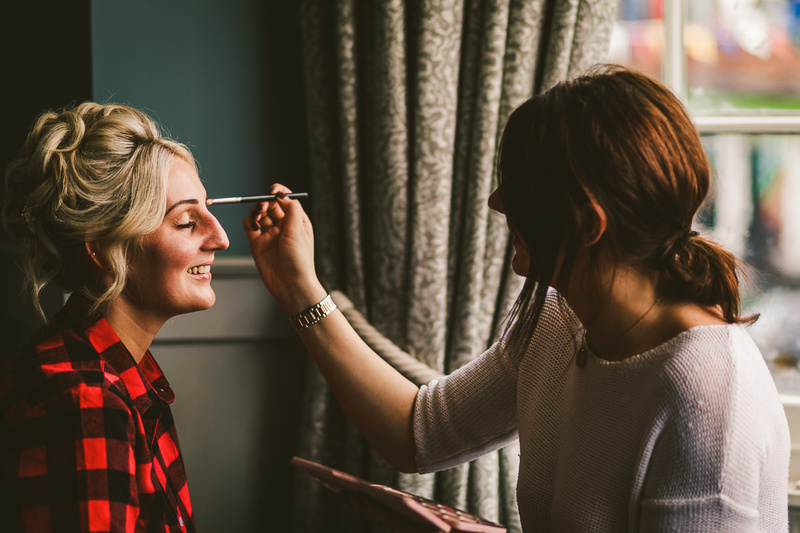 The Grade II listed 18th Century hotel was a stunning location for bridal preparations. 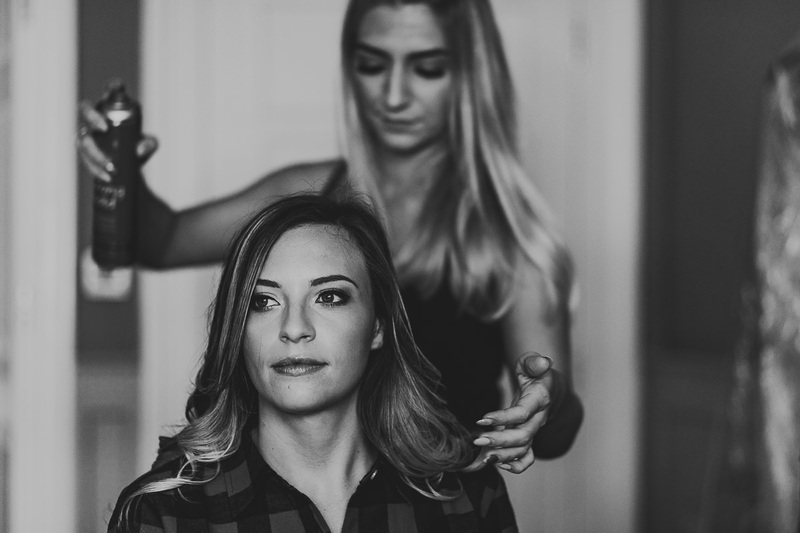 Make-up was by Lucy Cook from The Glam Room and also by Christine Cara. 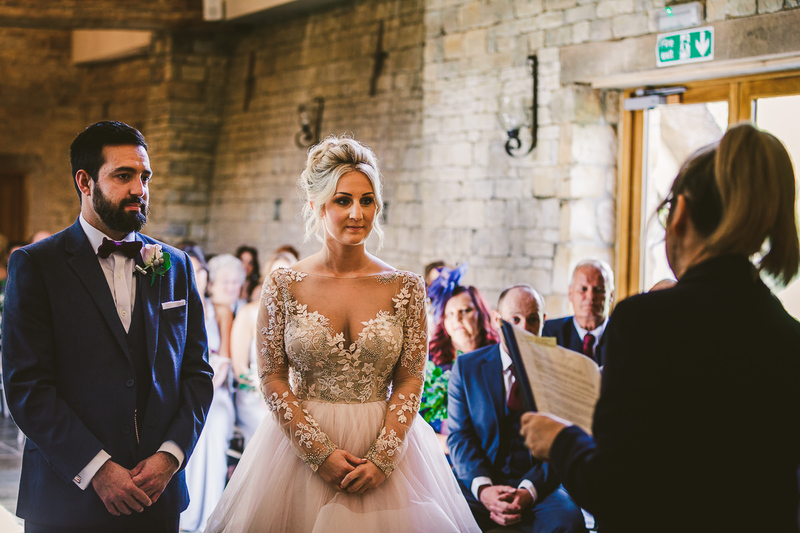 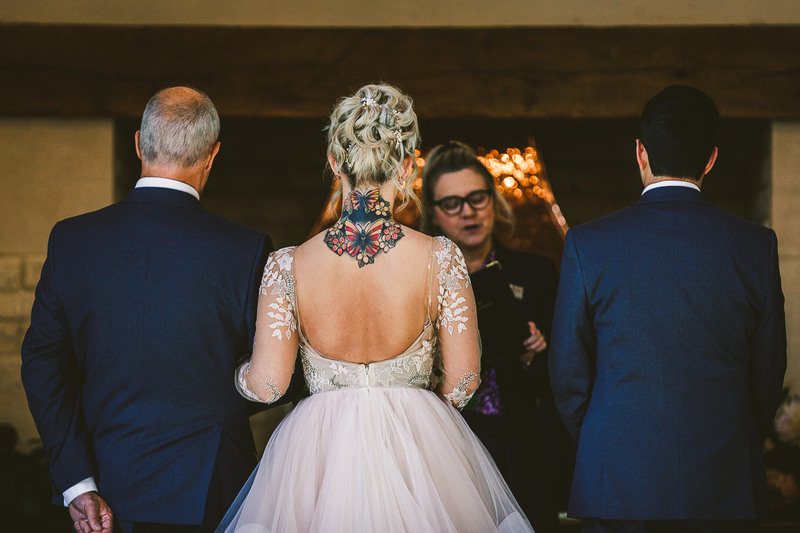 Hair was by Amy Heslington who was also one of Dani’s bridesmaids. 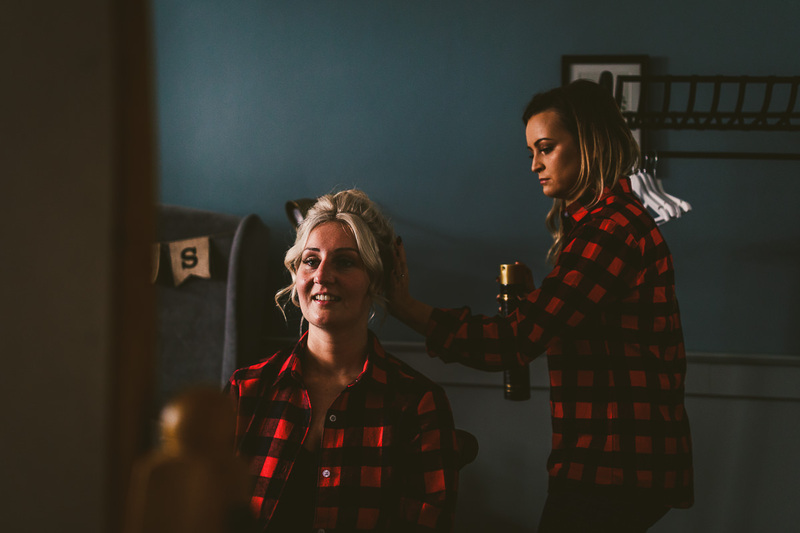 I’ve met Amy a couple of times now, I photographed her wedding last year and have also bumped into her doing hair at other people’s weddings too. 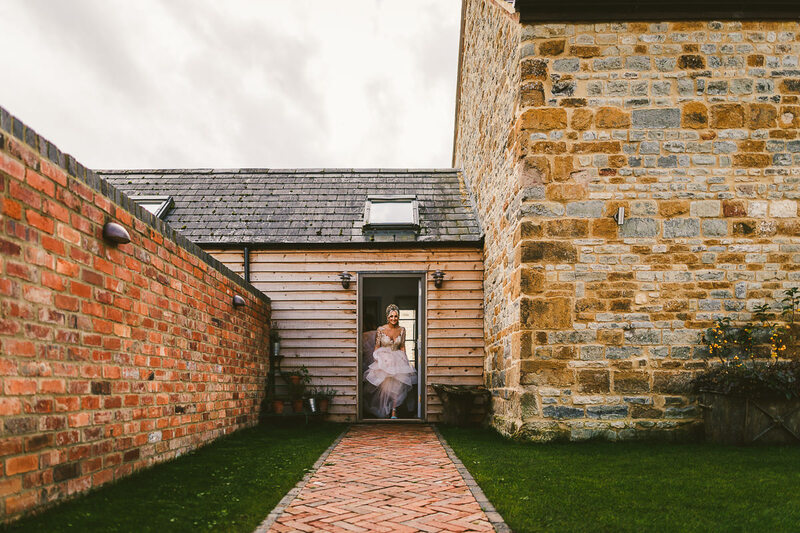 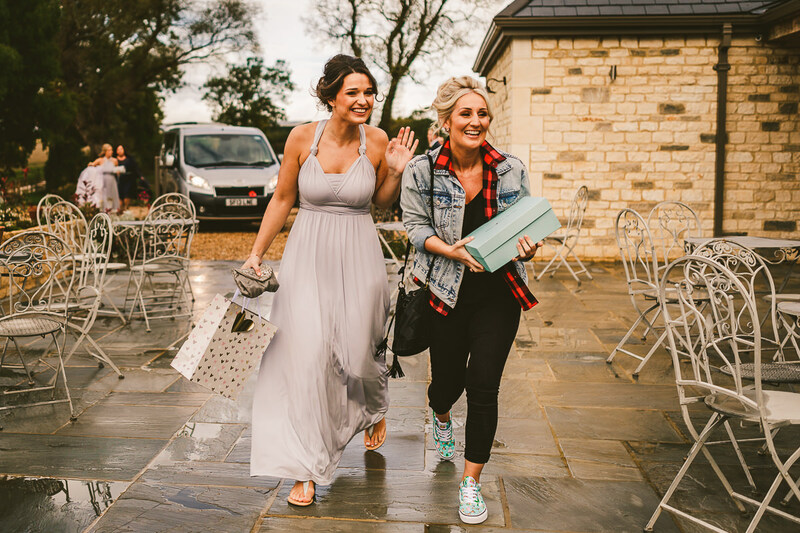 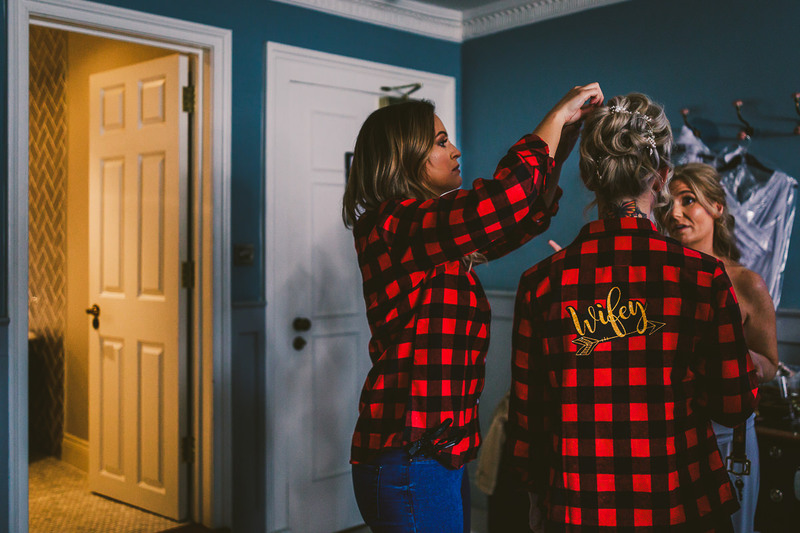 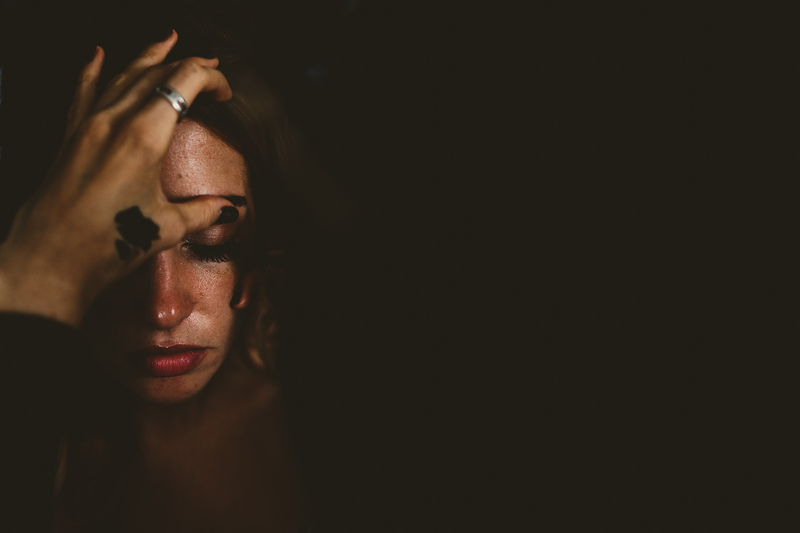 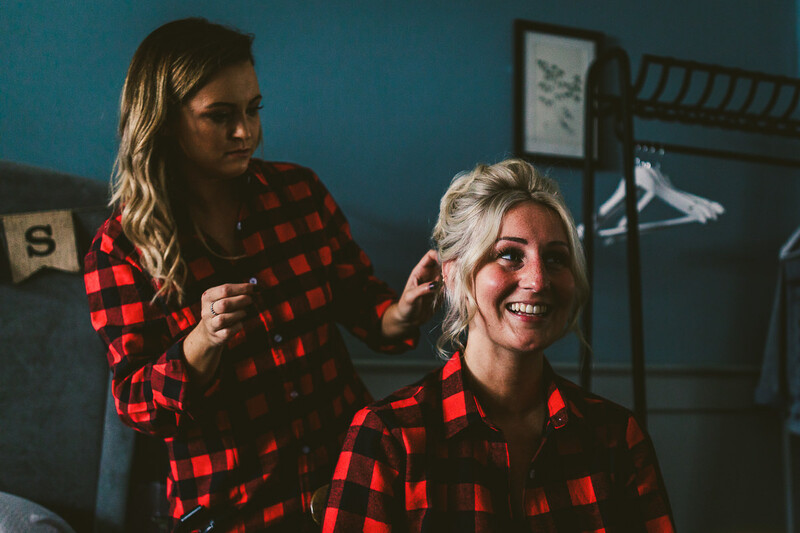 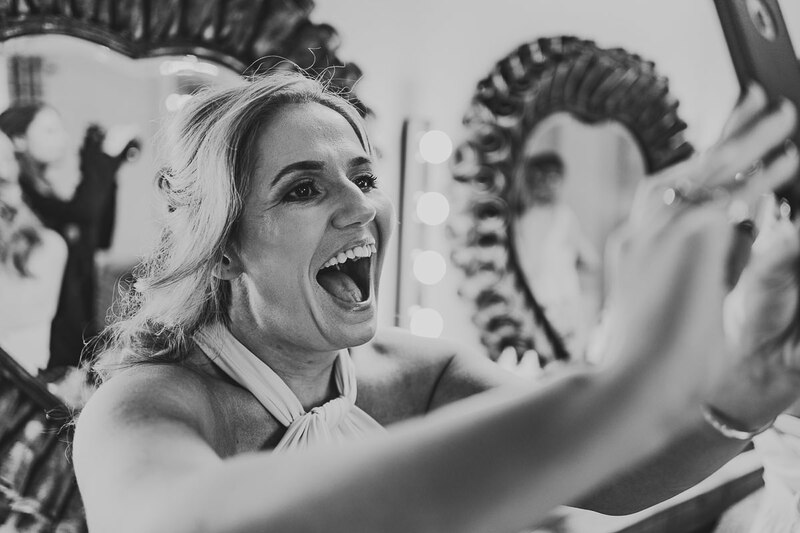 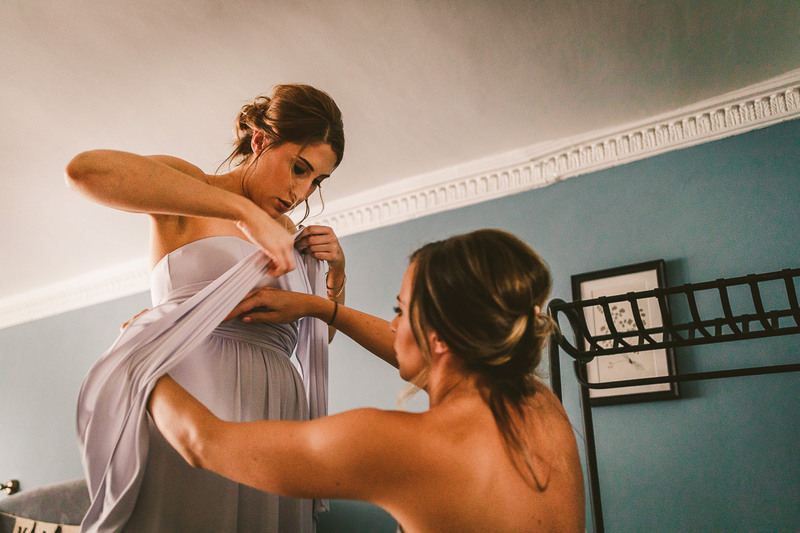 With their hair and makeup completed the girls then made their way to the wedding venue at Blackwell Grange to finalise their preparations and to get into their dresses. 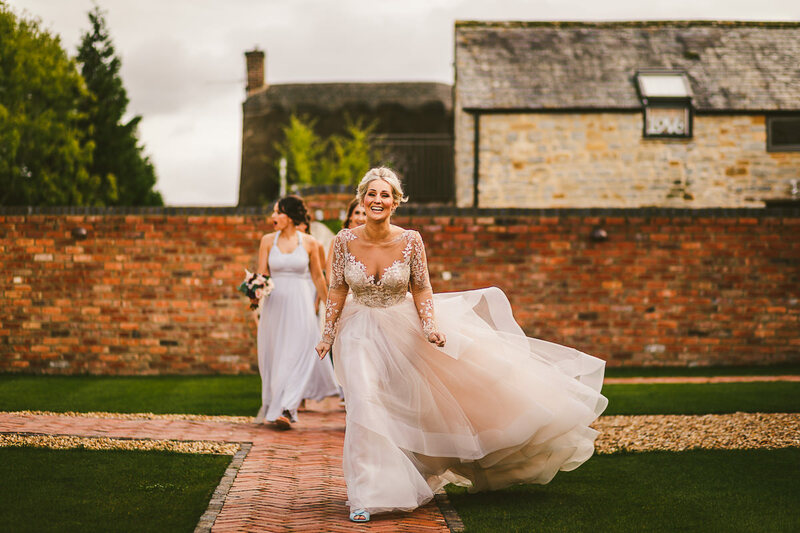 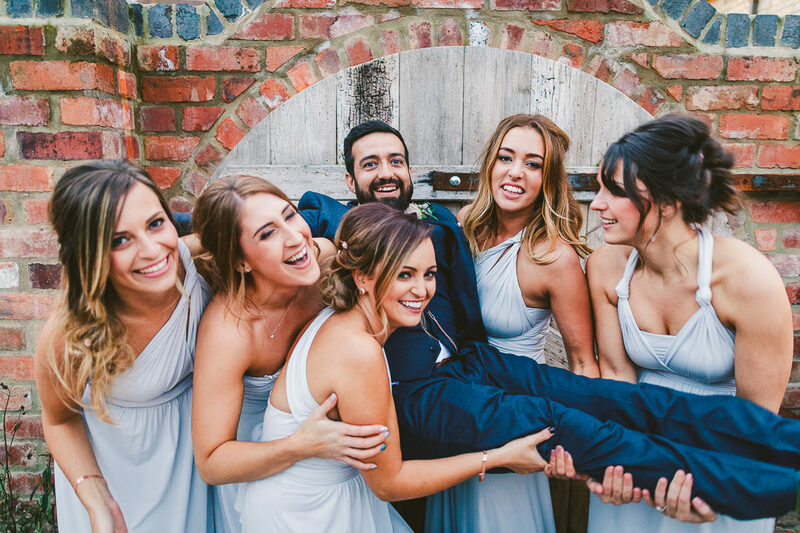 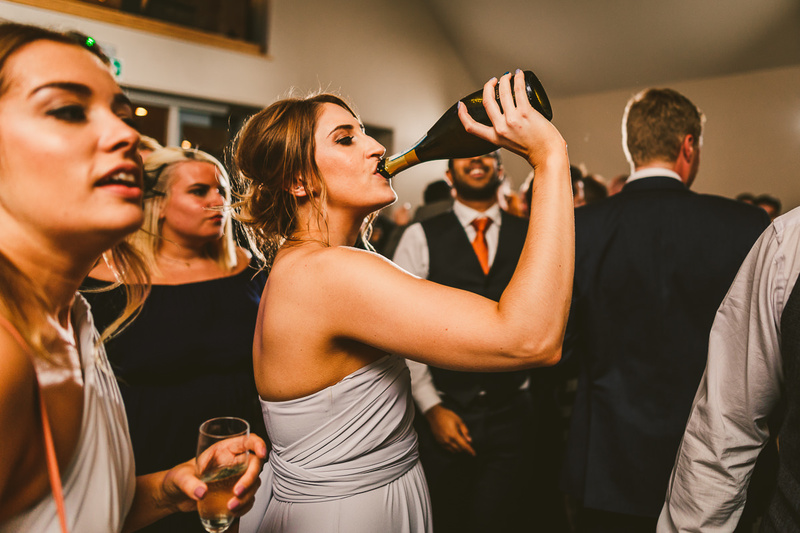 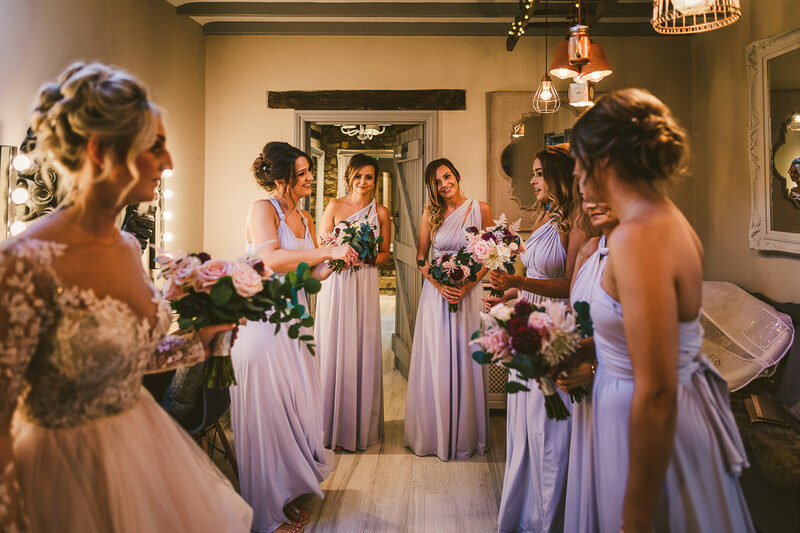 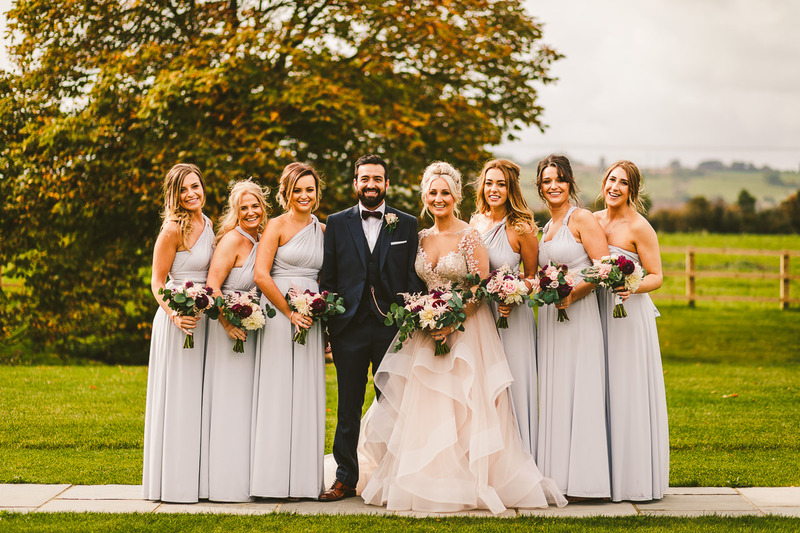 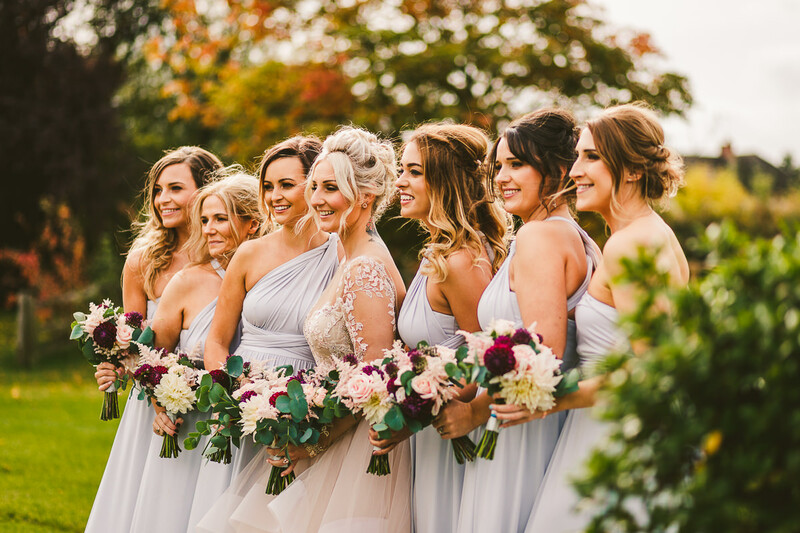 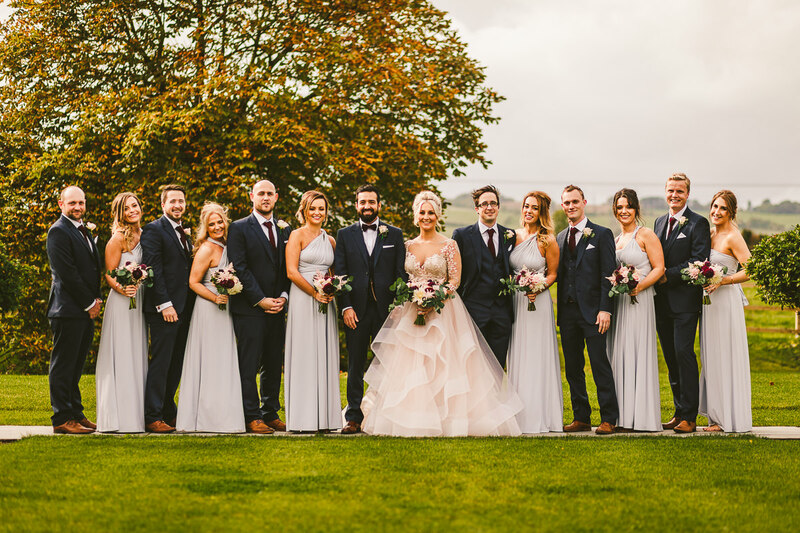 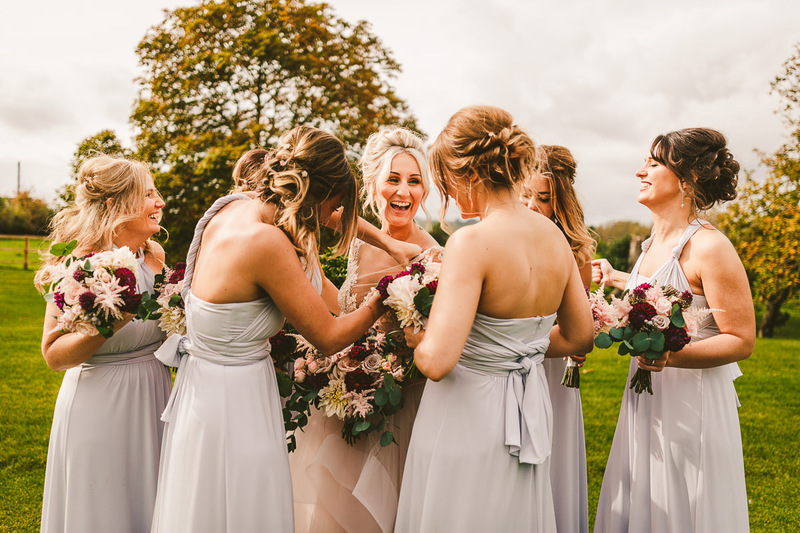 Dani wore a stunning Hayley Paige dress which was from Coco & Kate of Hatton in Warwickshire whilst her bridesmaids wore matching pale blue dresses from M&S. 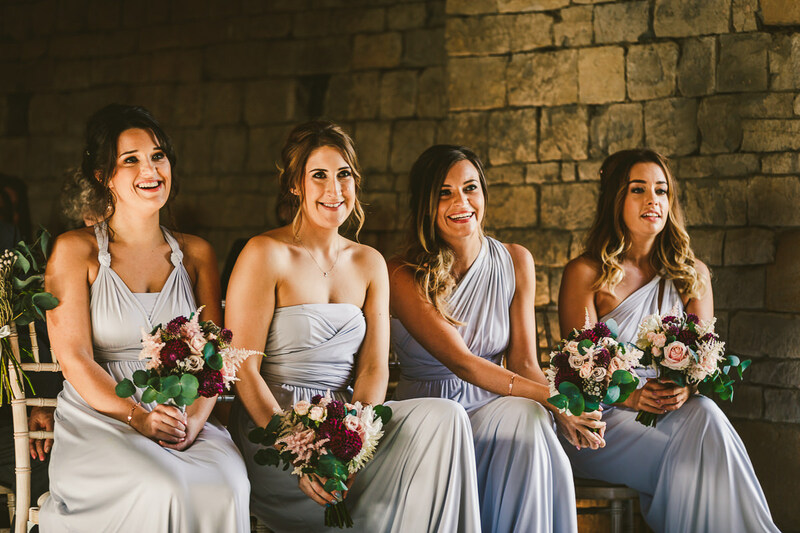 With the girls finally ready they then made their way to the lovingly restored 16th century Thatch Barn for the ceremony. 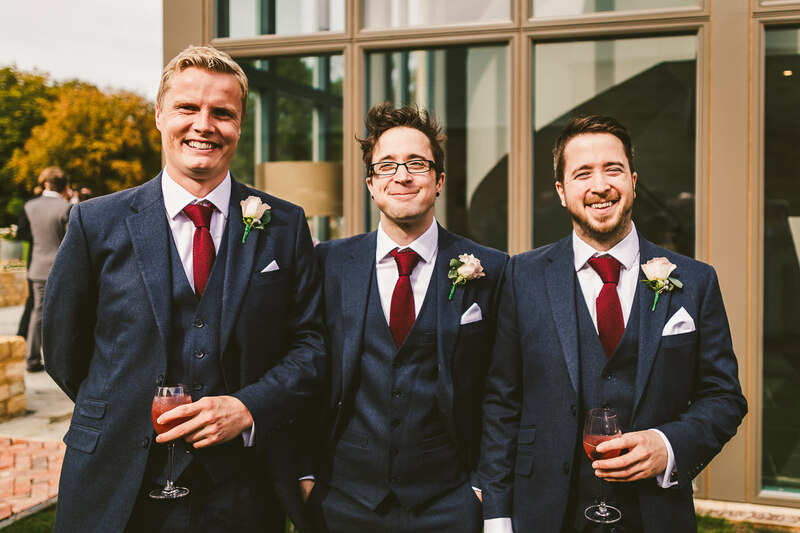 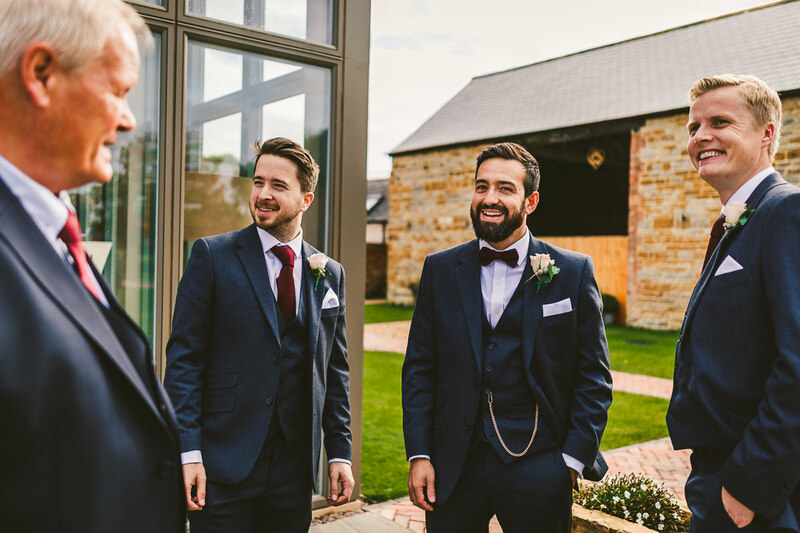 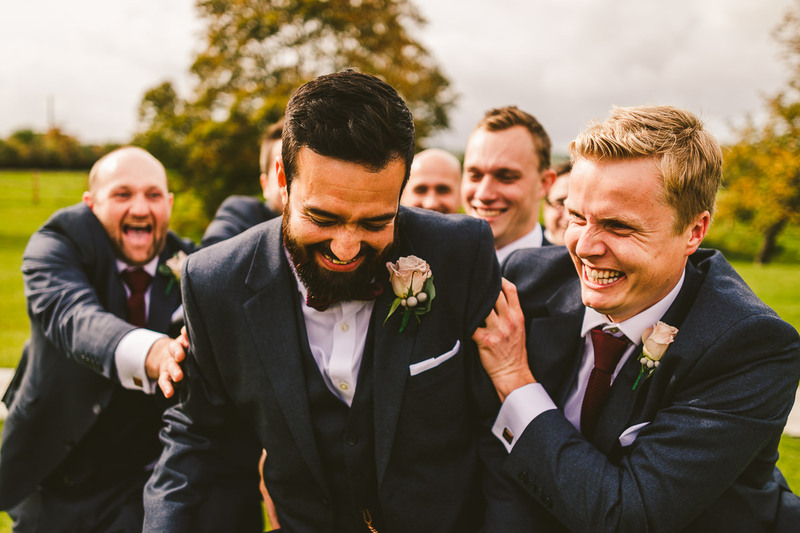 Awaiting their arrival was Loz and his groomsmen who were decked out in sharp dark blue three piece suits which were from Slaters in Birmingham. 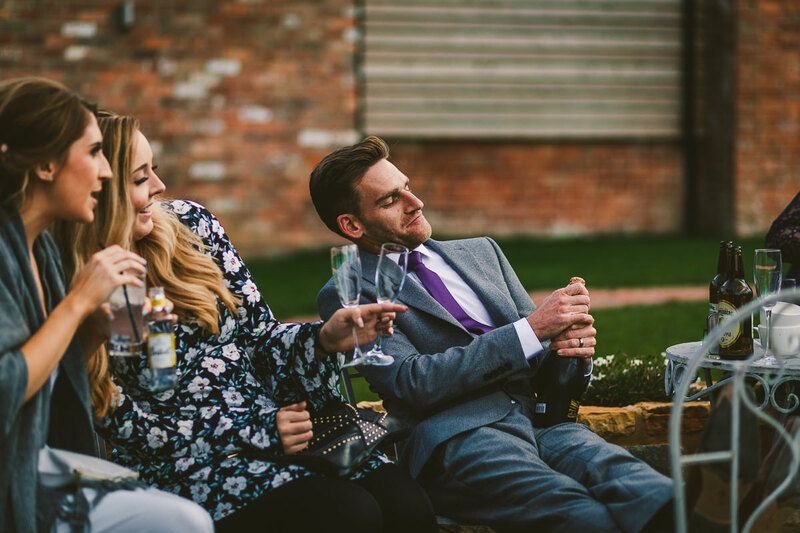 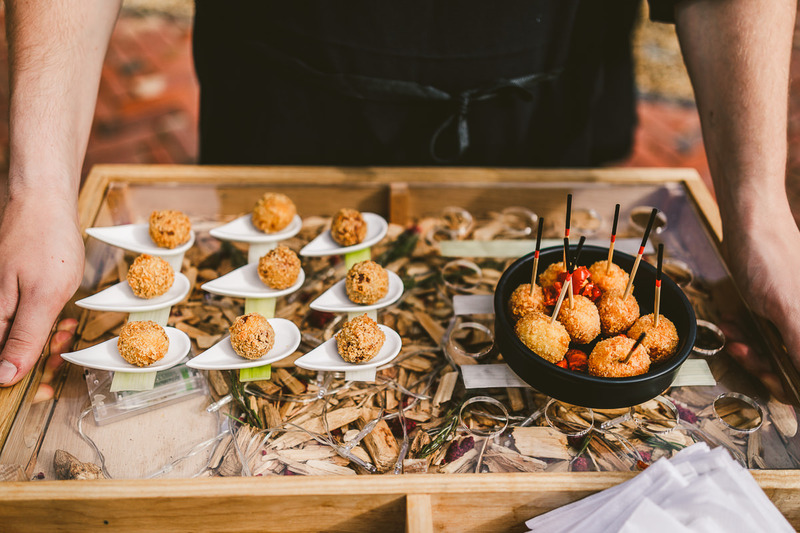 With the formalities of the ceremony completed everyone headed out onto the Cider Lawn for a drinks reception with canapés. 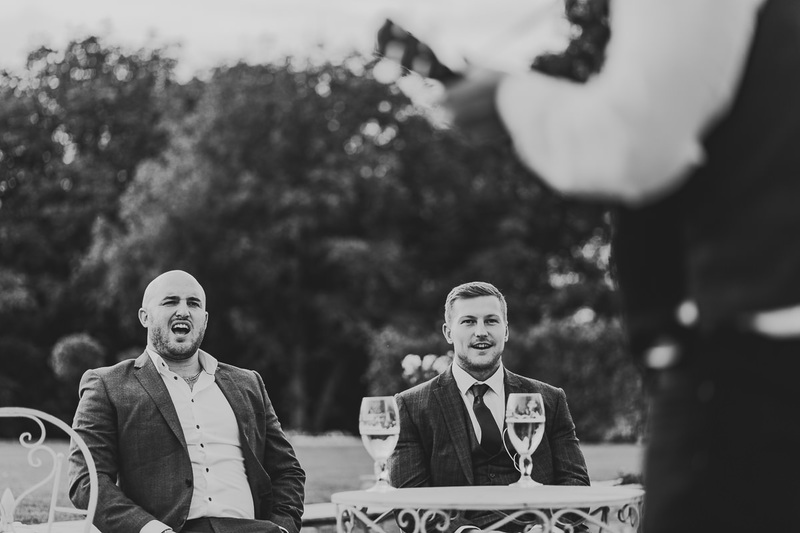 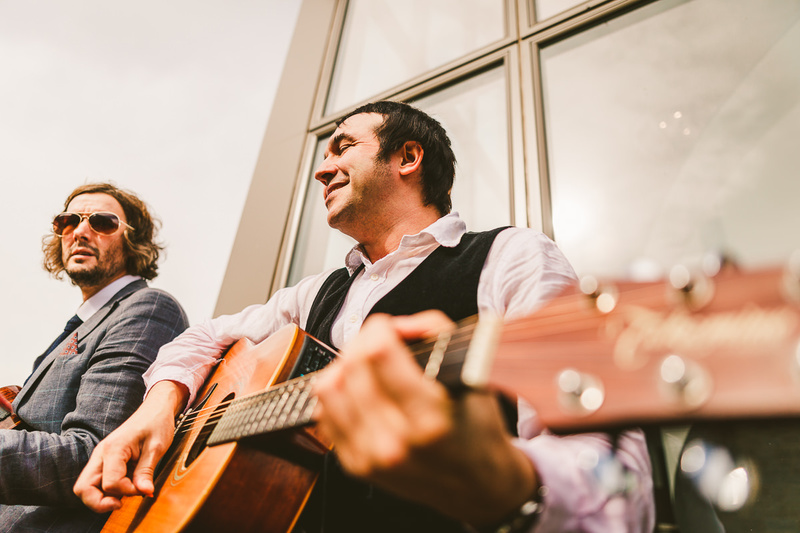 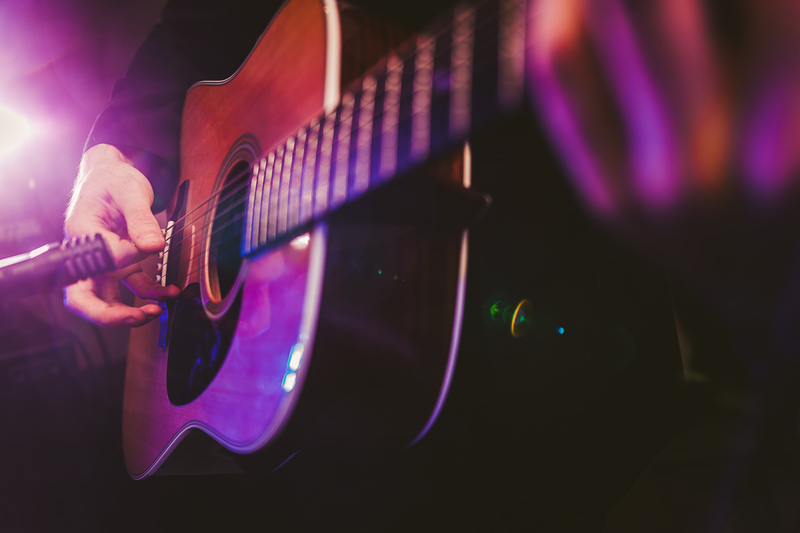 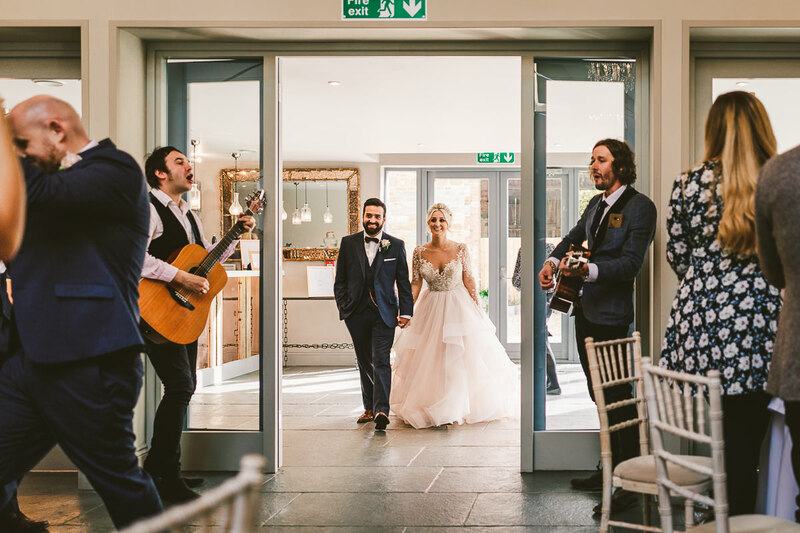 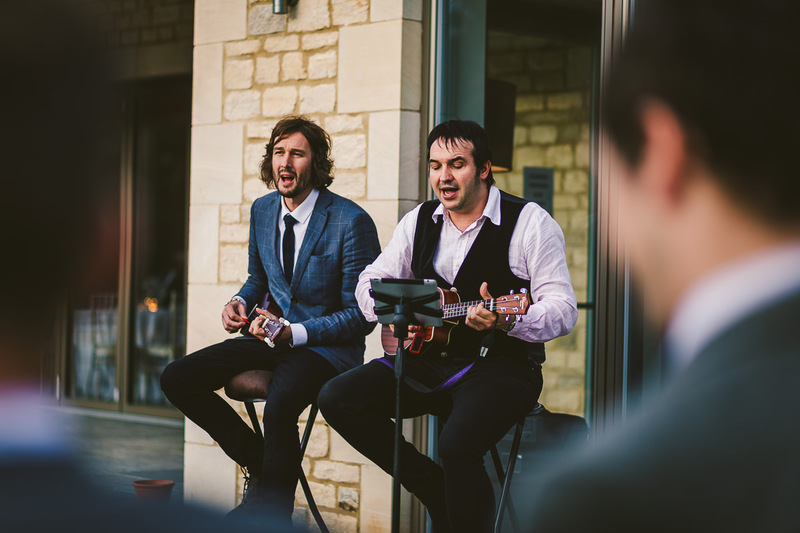 Entertainment was provided by the brilliant Rock My Reception who played a stunning selection of songs on their acoustic guitars. 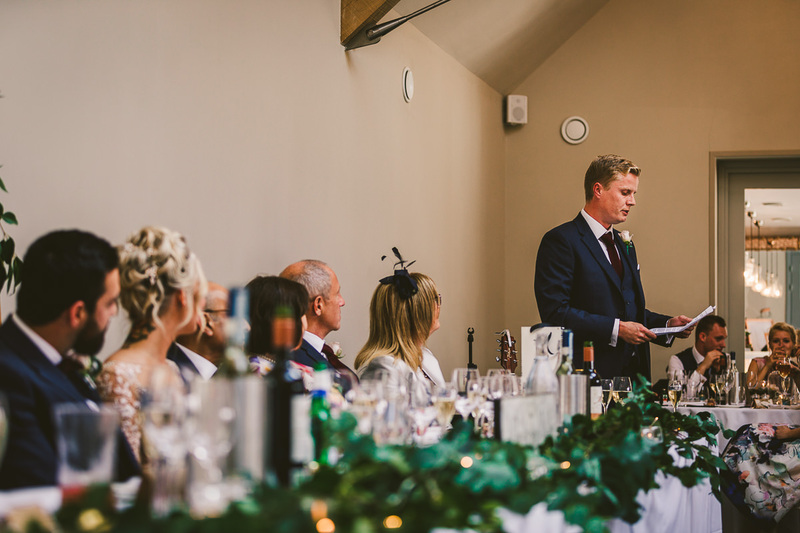 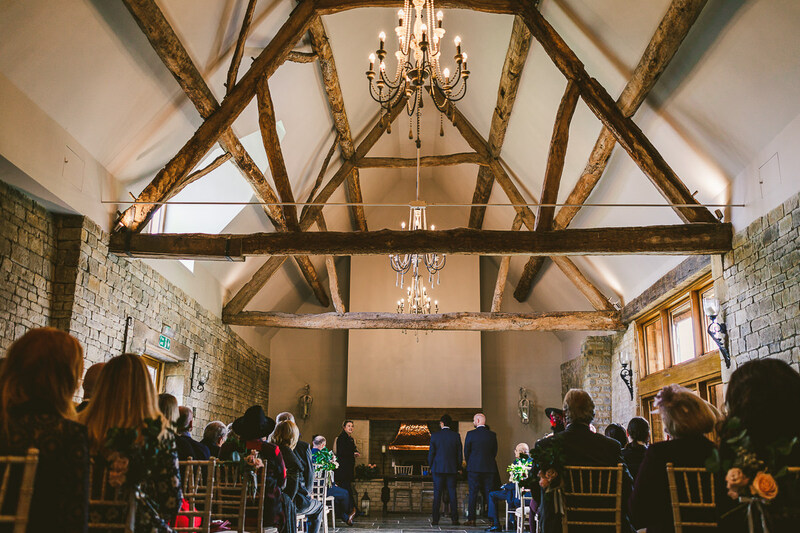 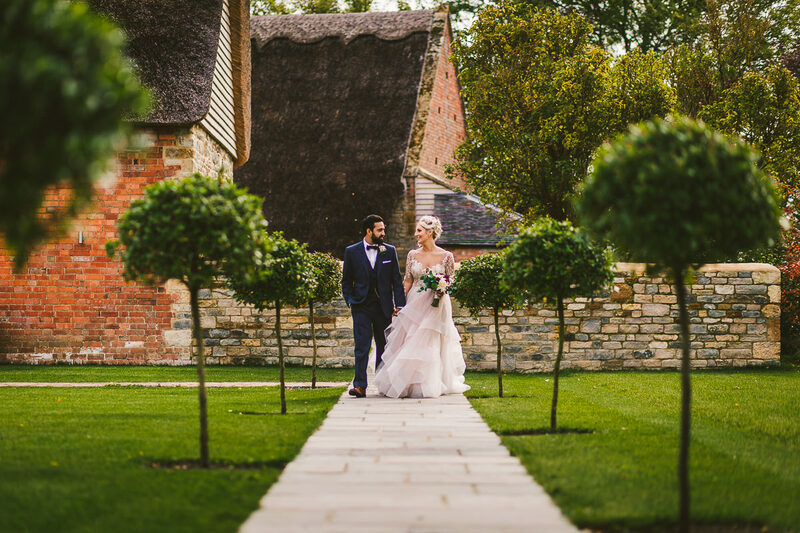 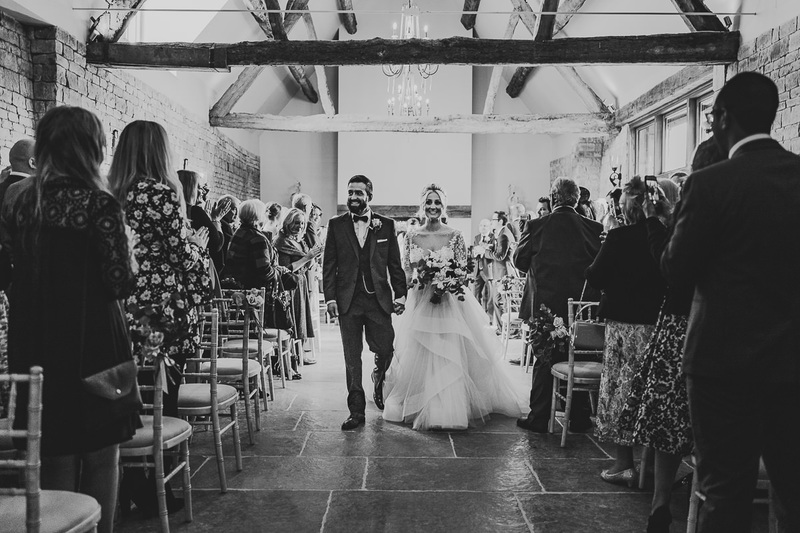 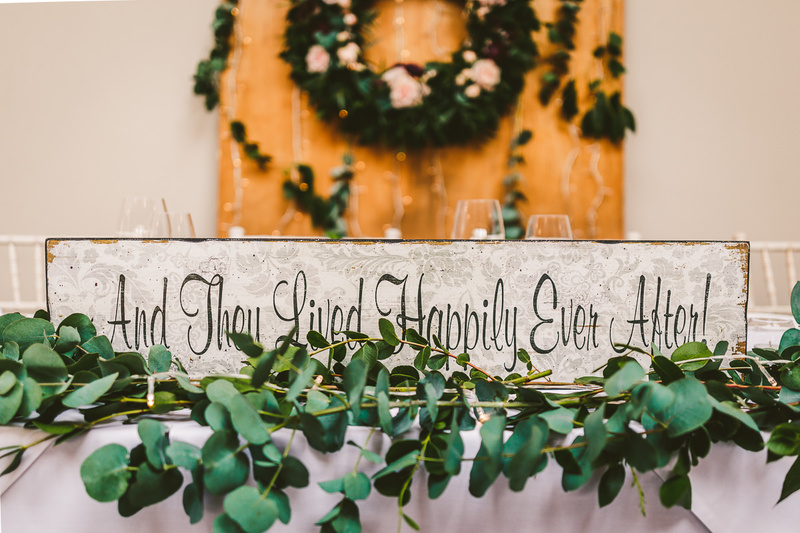 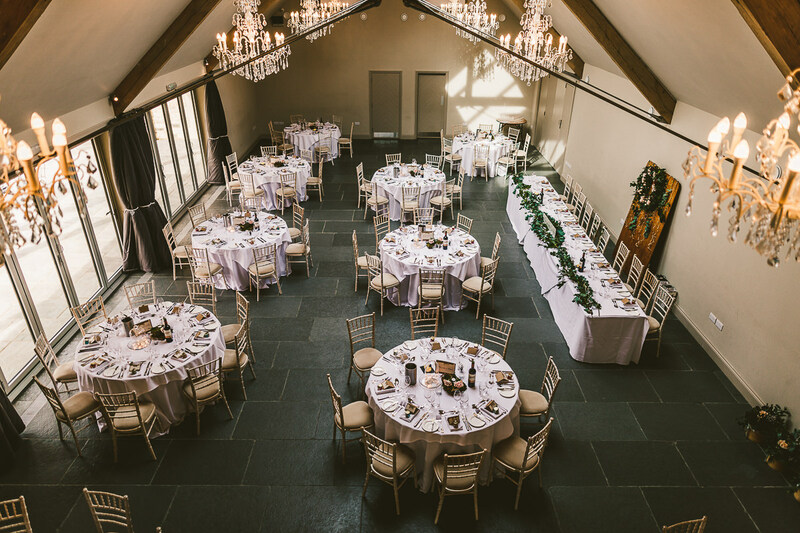 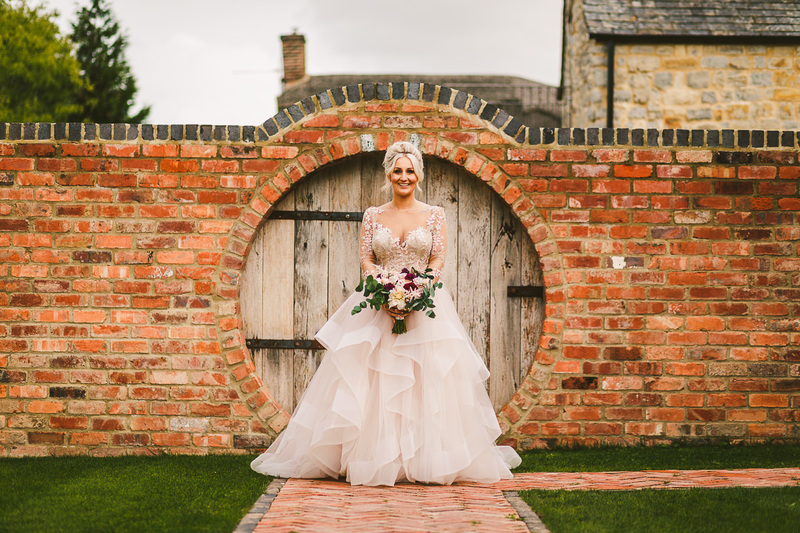 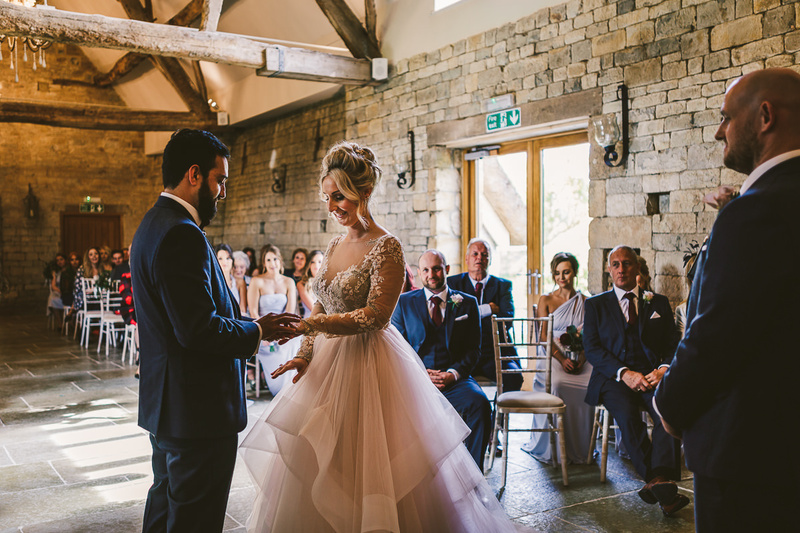 After some formal photos and bridal portraits it was then into the the Orchard Barn, which had been decked out in a fairytale theme, for the wedding breakfast. 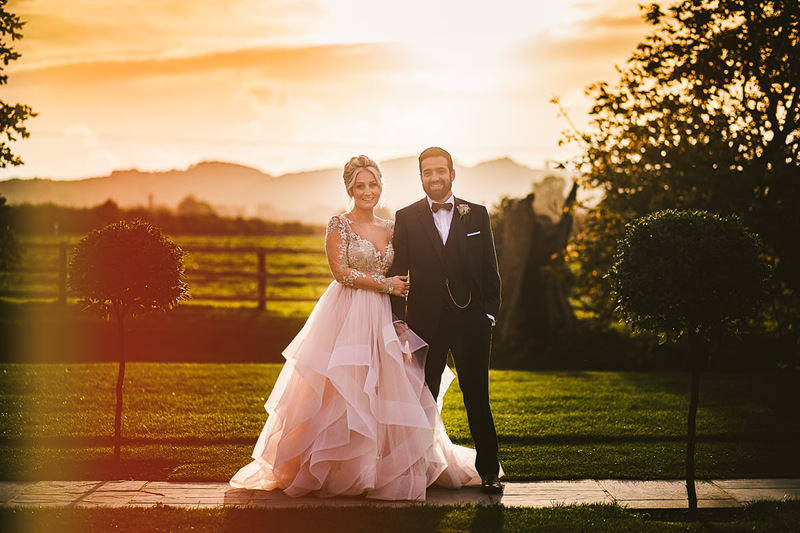 After the wedding breakfast everyone headed back outside to make the most of the unusually warm late afternoon autumnal sun. 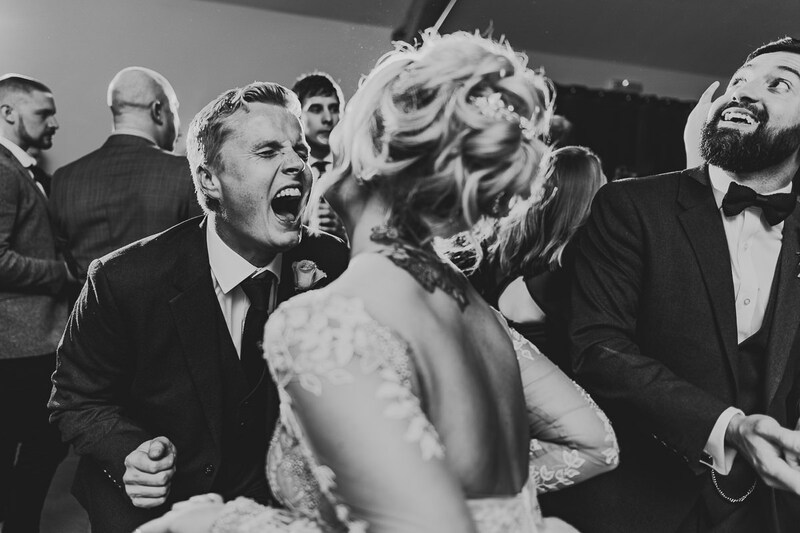 Rock My Reception stepped things up another notch by blasting out a singalong set of killer 90’s Britpop hits whilst taking requests shouted from the guests (and wedding photographer). 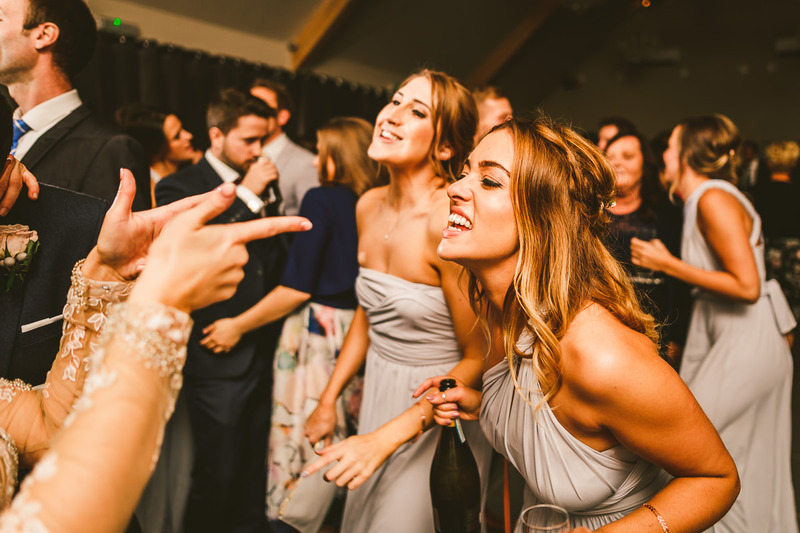 Some of the guests also invented a new champagne cork / conker based wedding game! 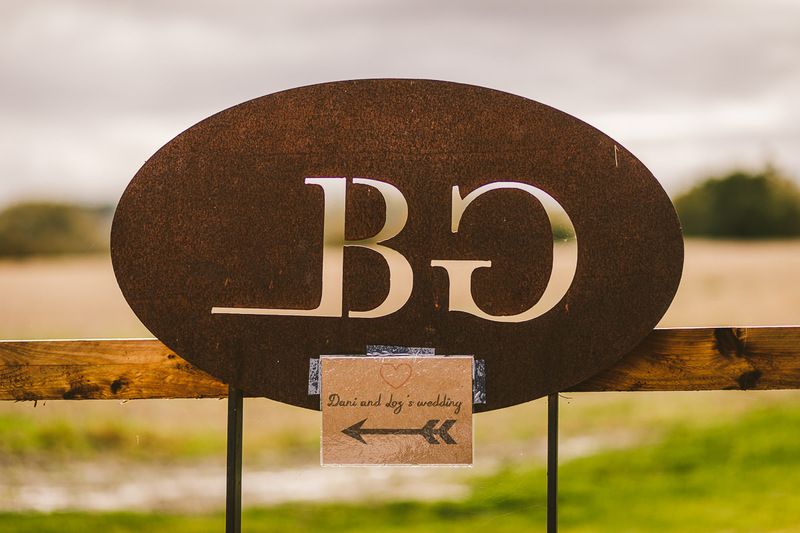 As dusk approached and the temperature dropped everyone headed back into the Orchard Barn for the evening reception. 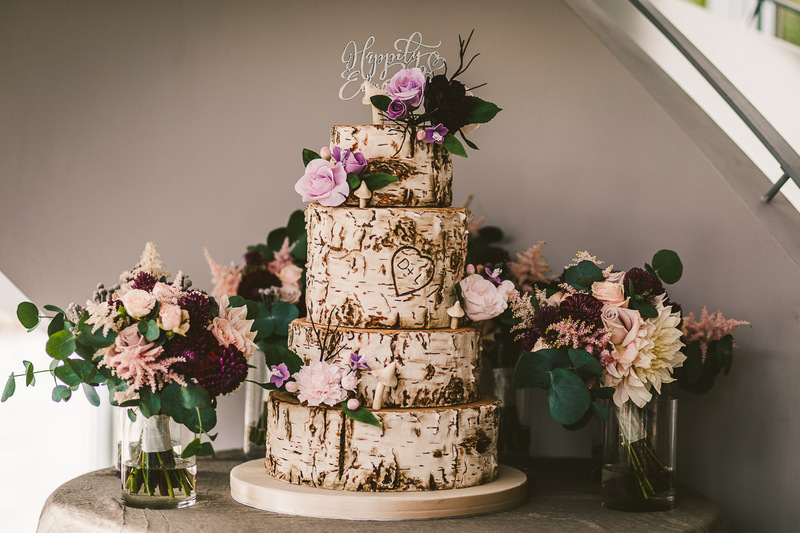 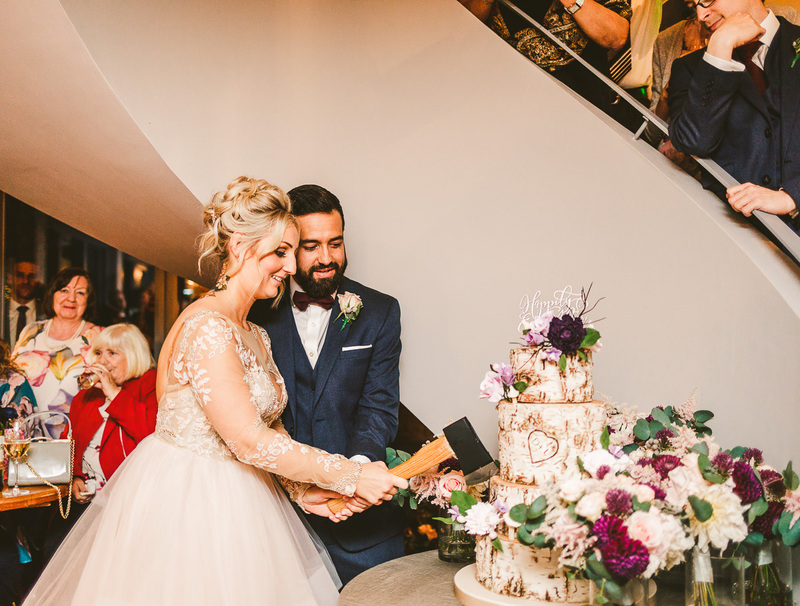 The fairytale theme from the wedding breakfast was carried through to the stunning Daisyblue Bakehouse wedding cake, which in true fairytale style was cut with an axe instead of a knife. 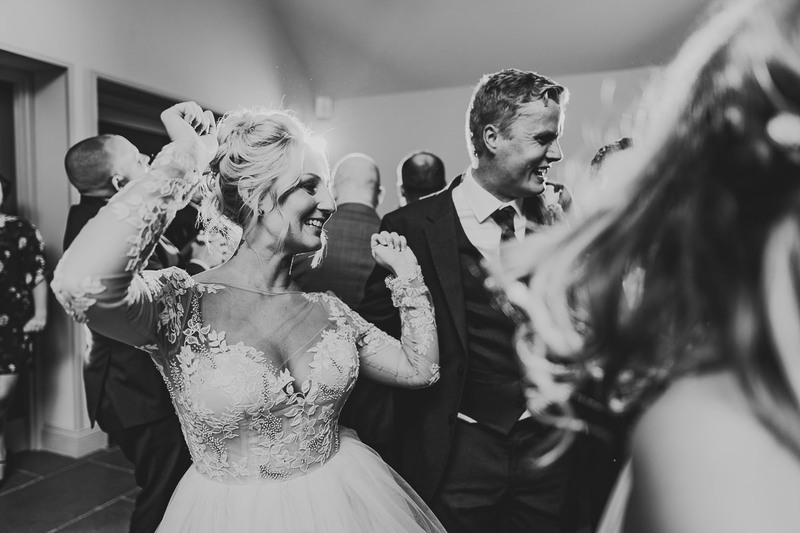 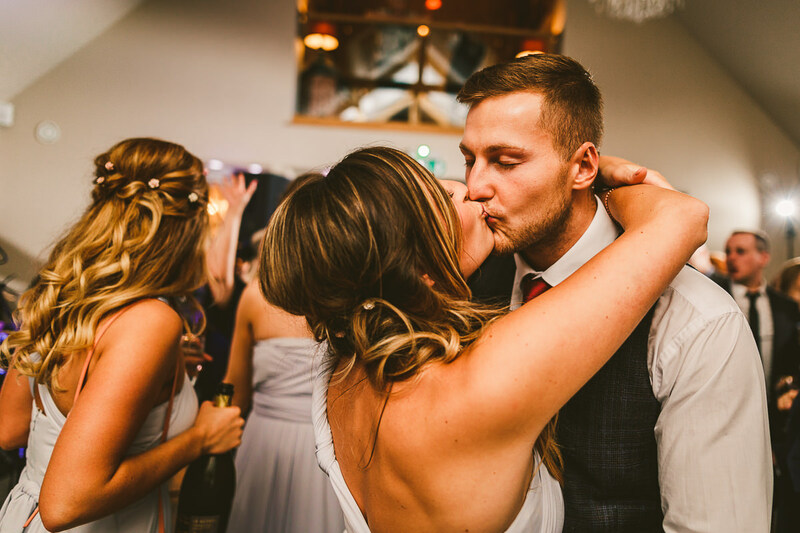 It was then straight into the first dance before The Chip Shop Boys got the dance floor rocking with two sets of rock and pop hits from the last 40 years. 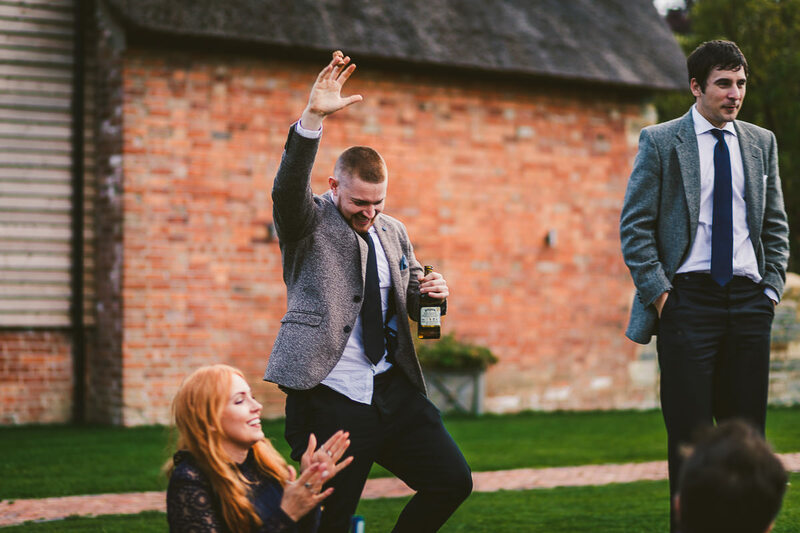 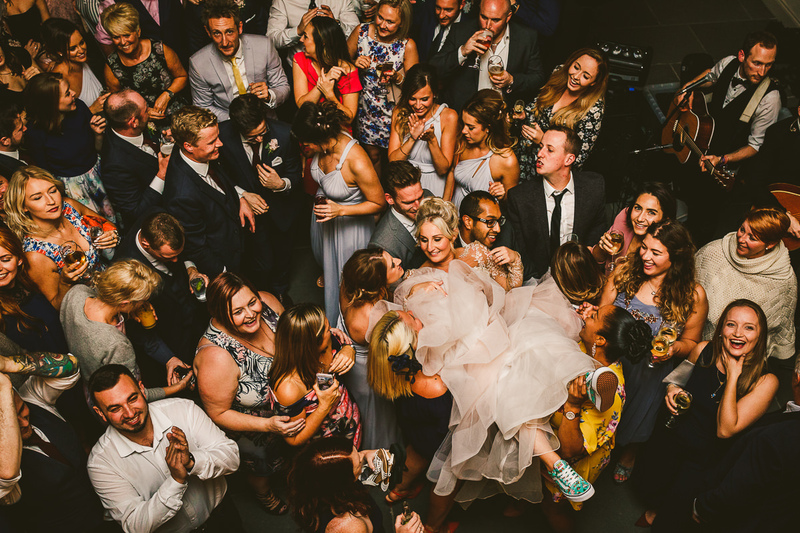 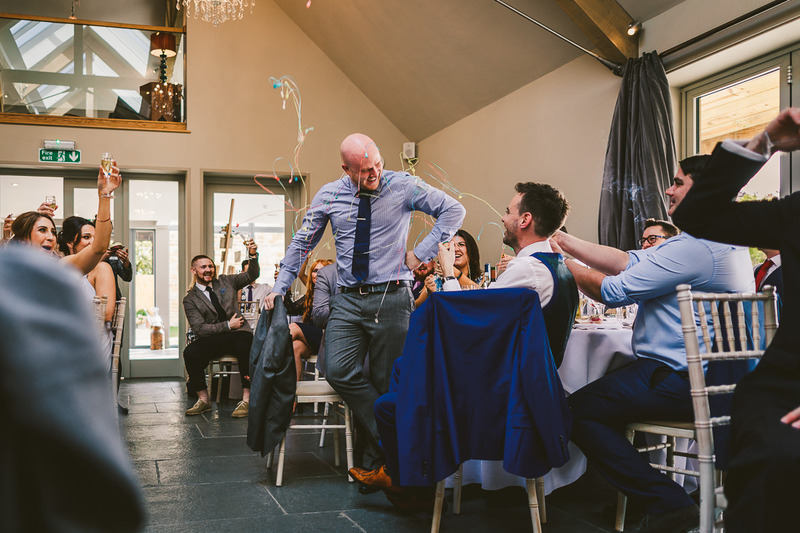 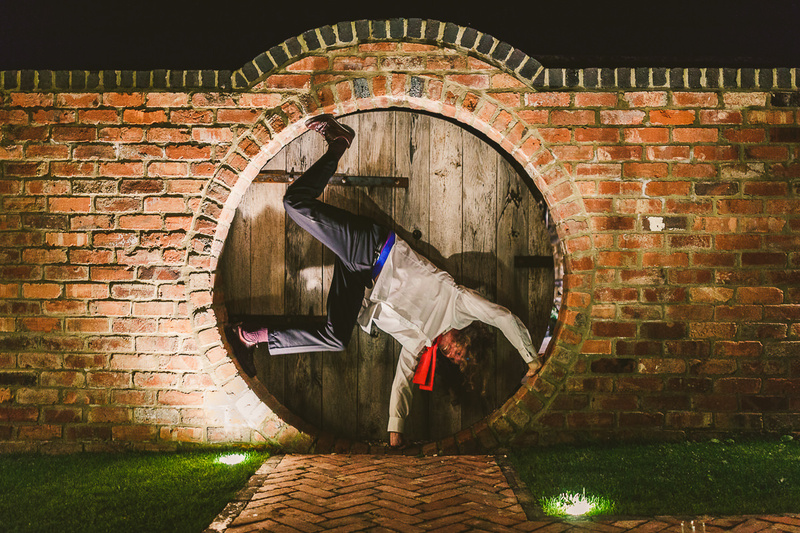 They smashed things so hard that it resulted in a bit of spontaneous crowd surfing from the bride and groom! 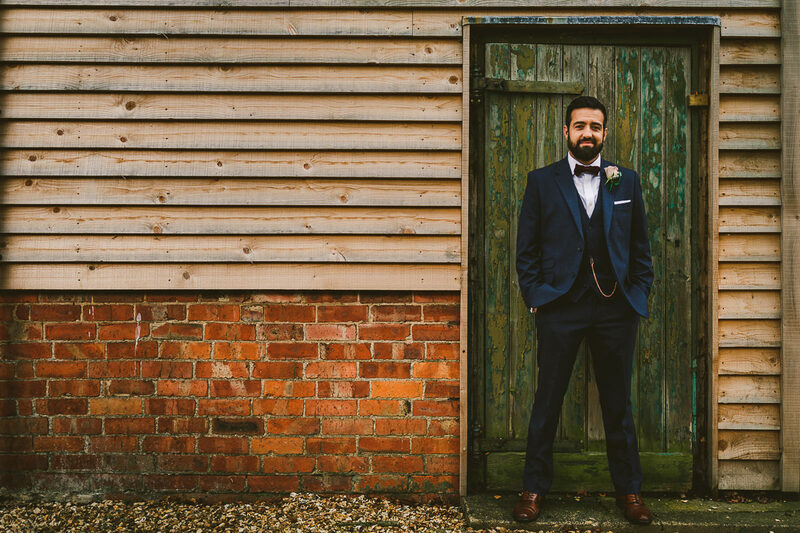 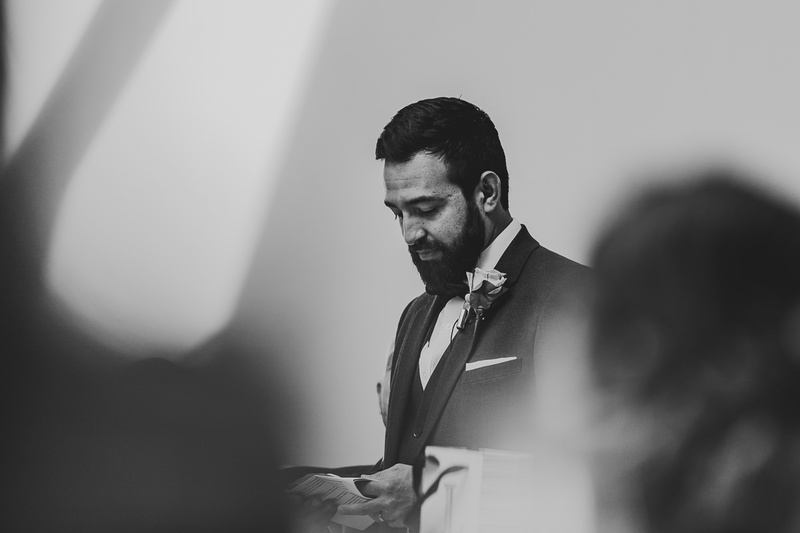 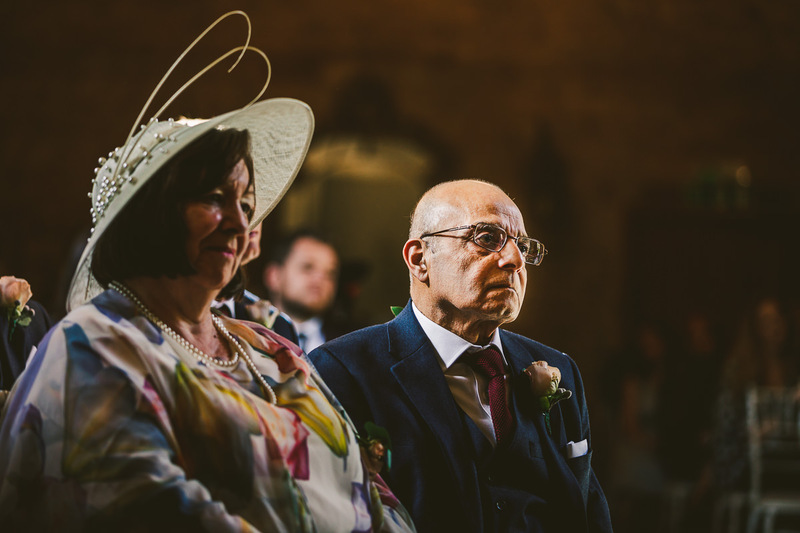 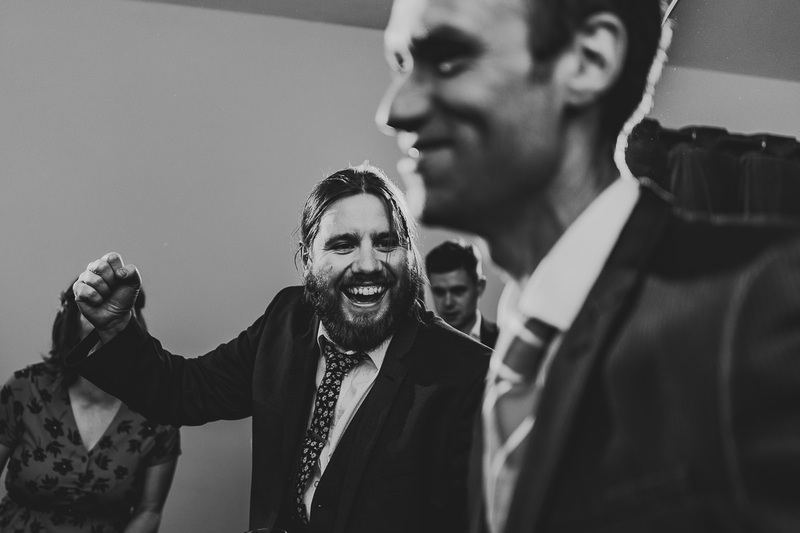 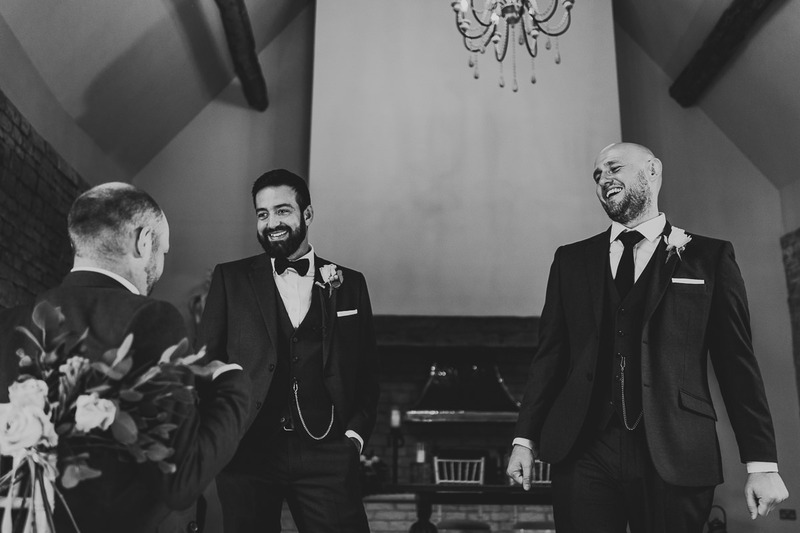 It was a massive pleasure to shoot this wedding alongside my wedding photography “brother-from-another-mother”, Darren, from The Last of the Light. 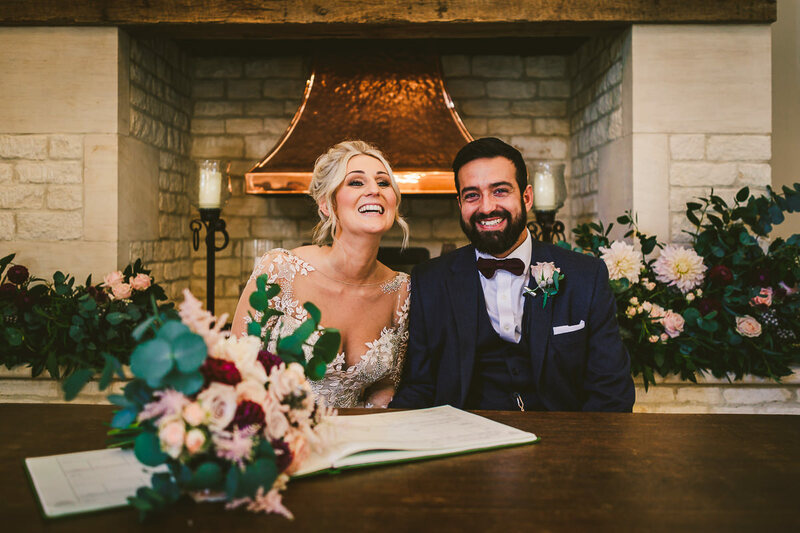 We were also joined by the lovely Libby from Libby Blunt Videography, you can see Libby’s teaser video HERE. 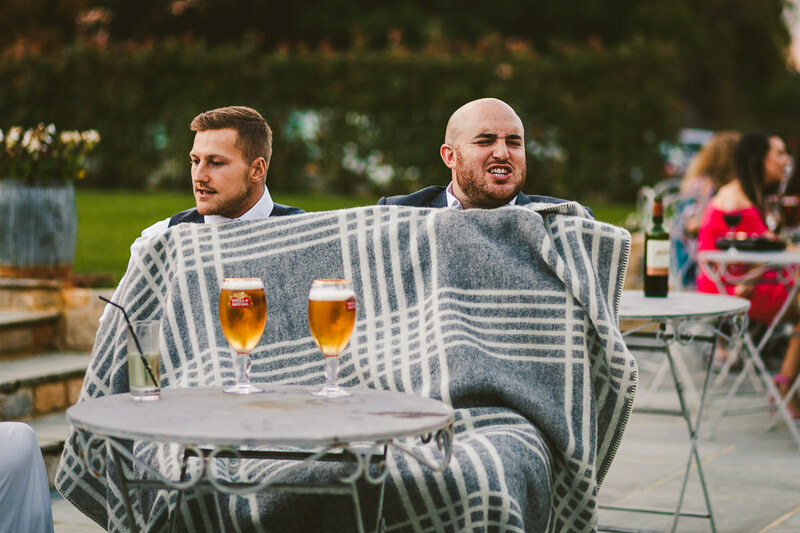 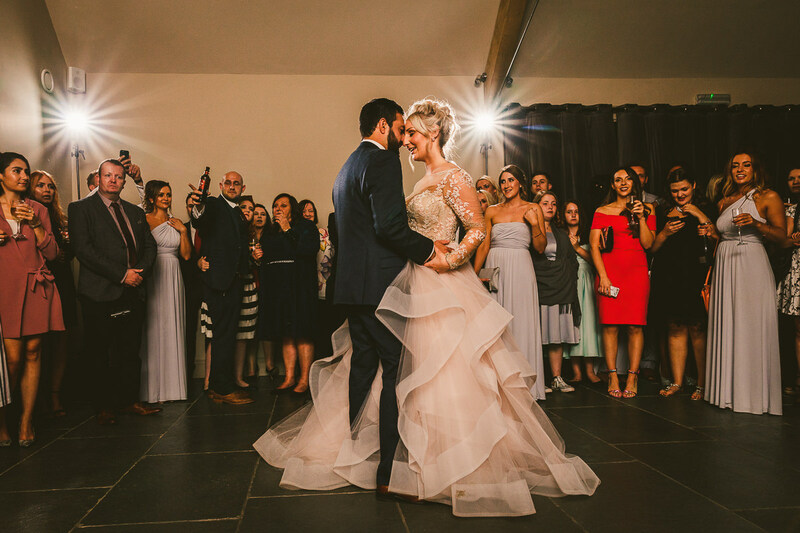 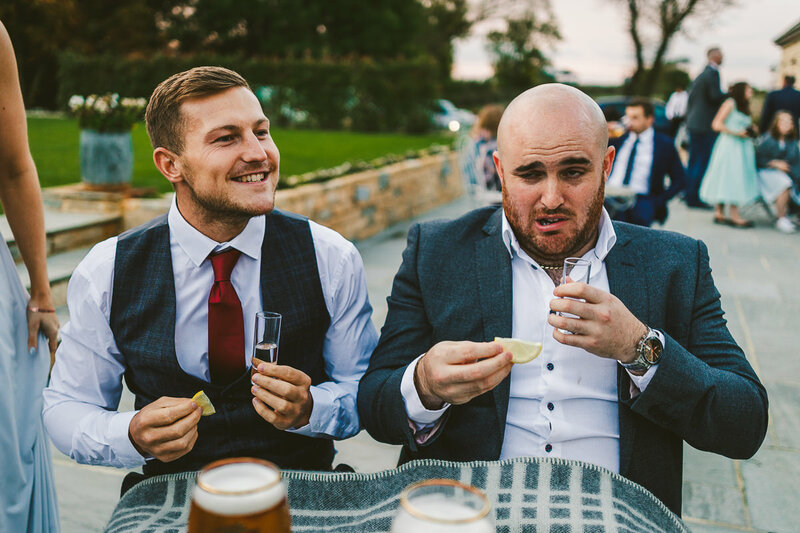 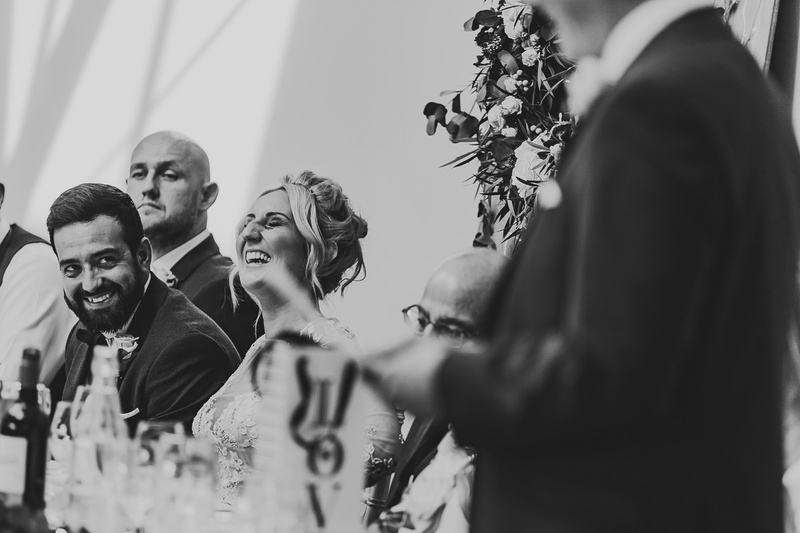 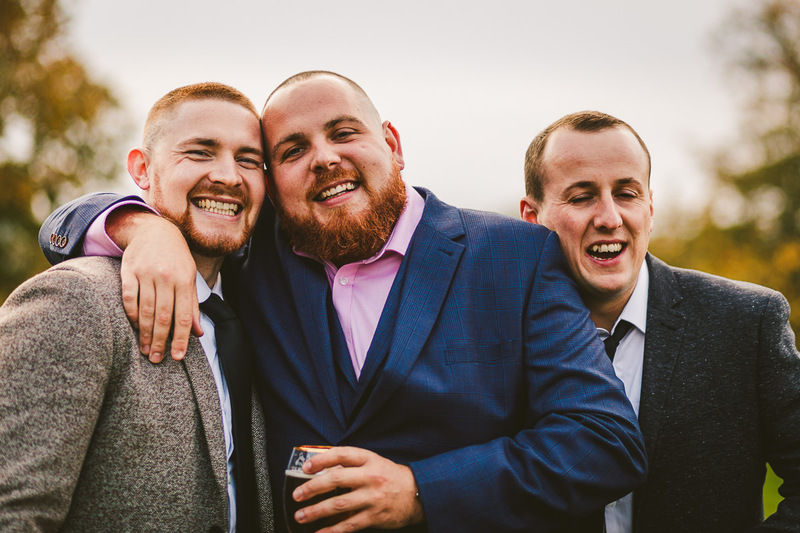 Before I sign off I’d again like to say a huge thank you to Dani and Loz for having us along to their most epic of weddings, it really was a special day . . .